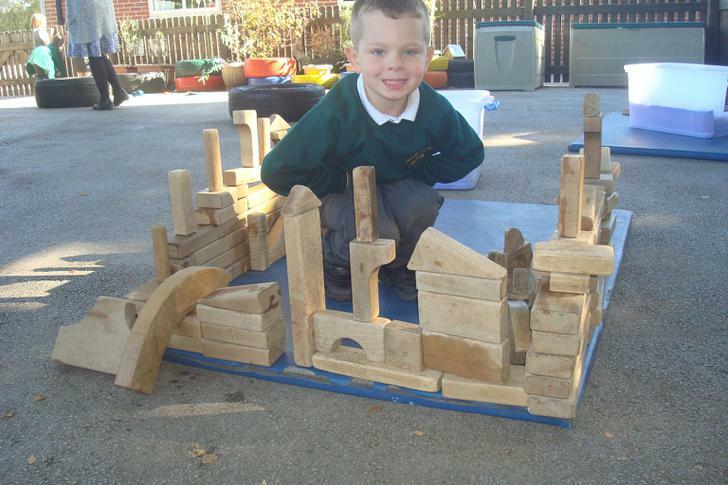 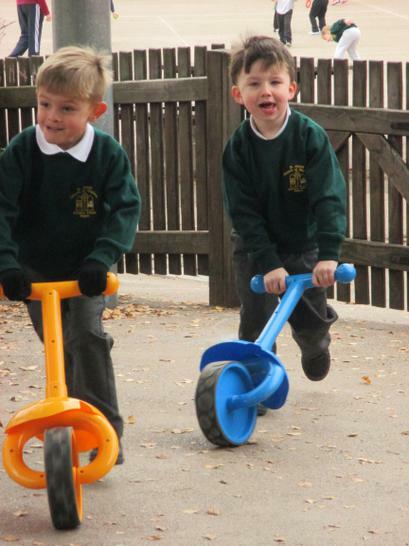 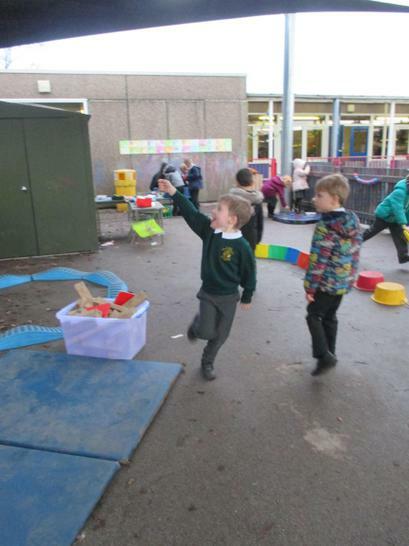 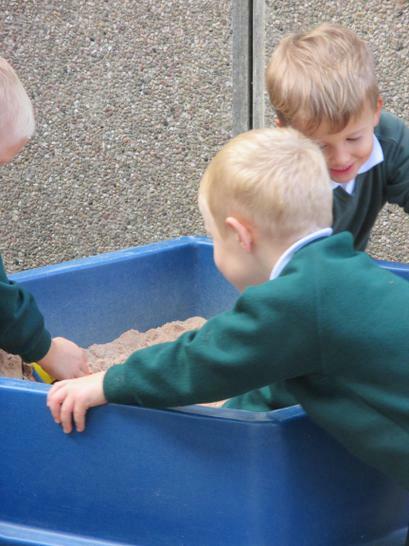 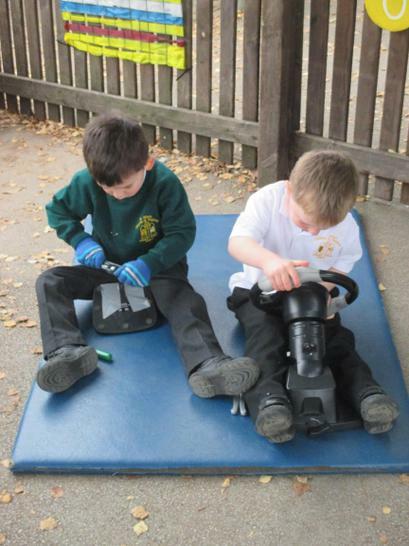 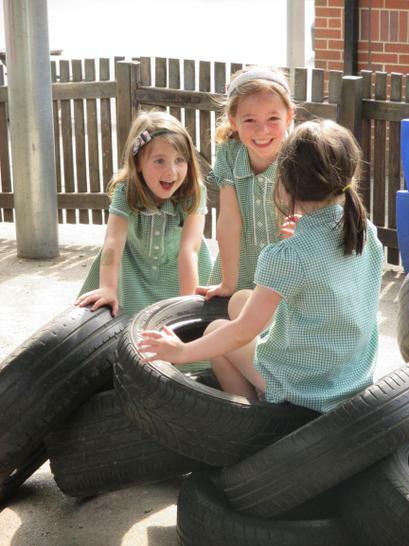 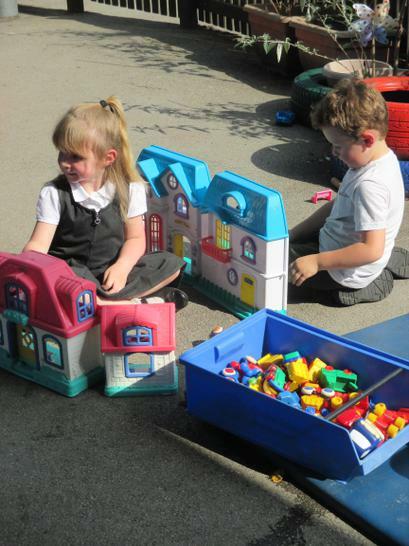 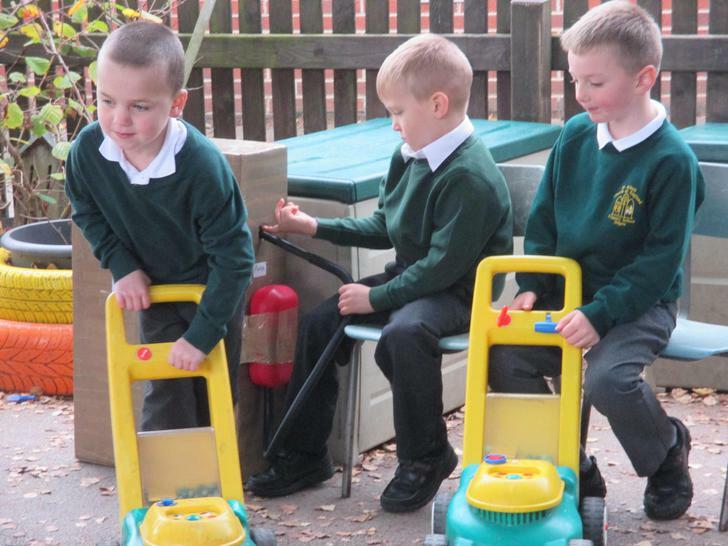 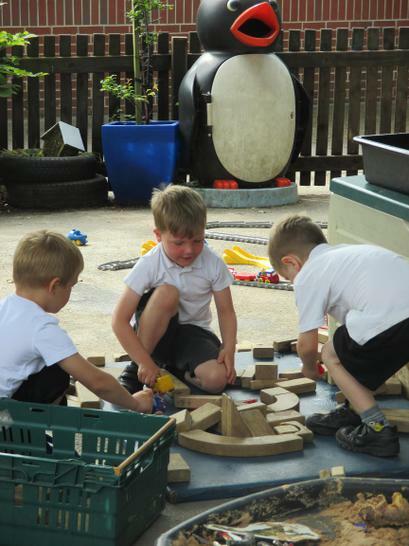 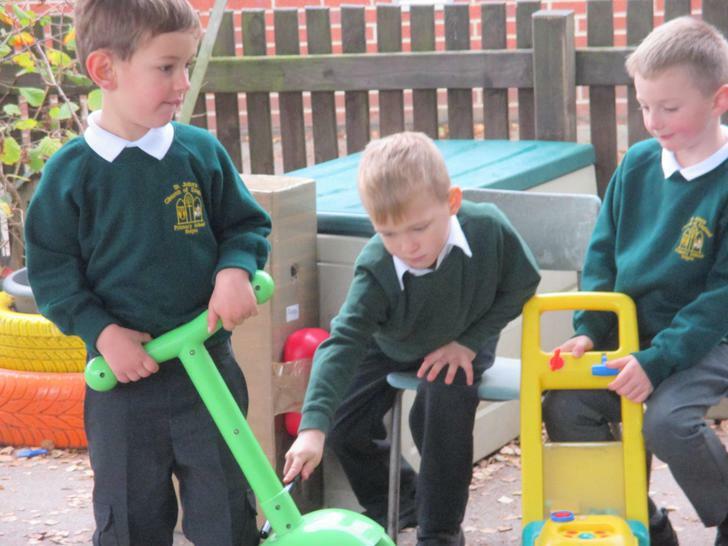 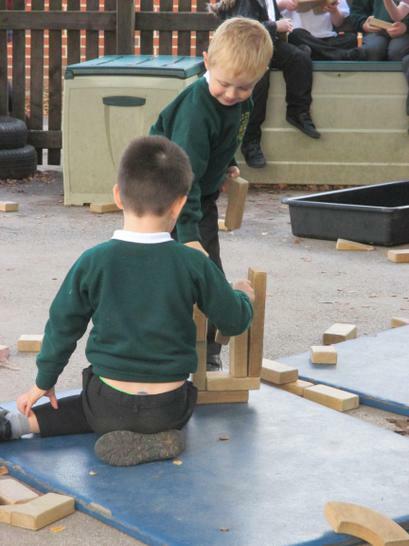 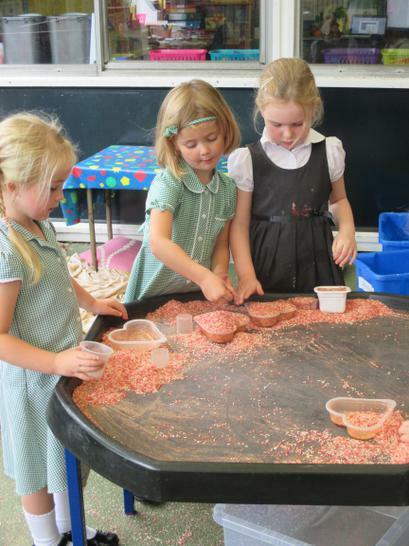 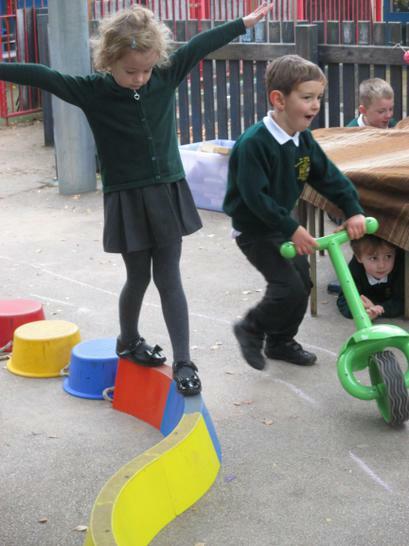 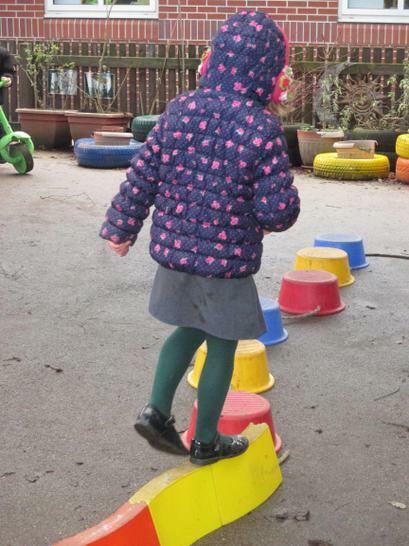 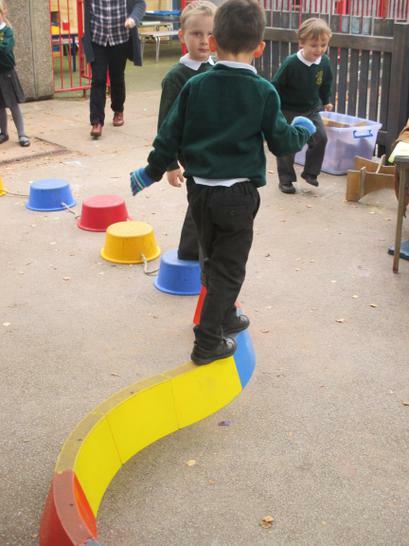 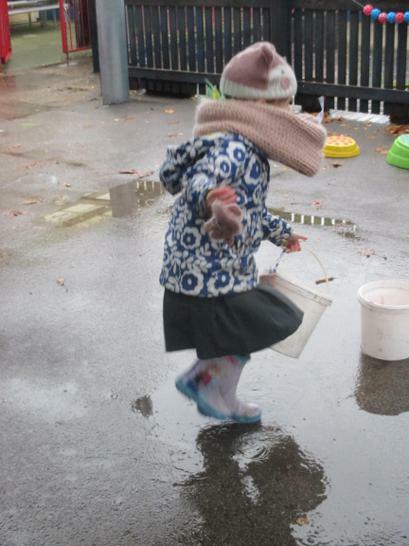 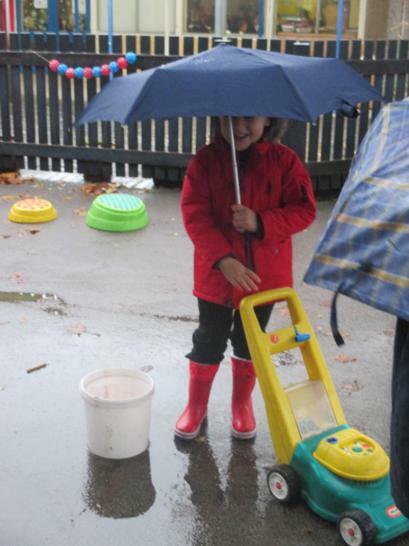 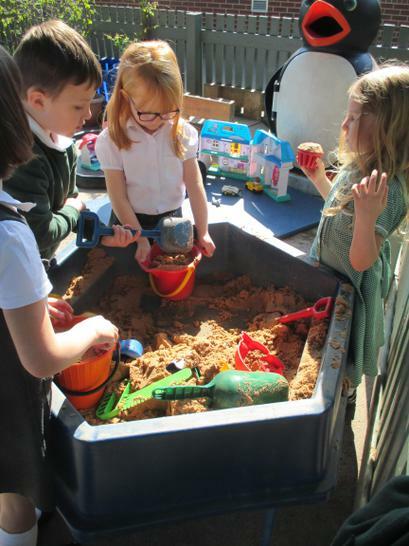 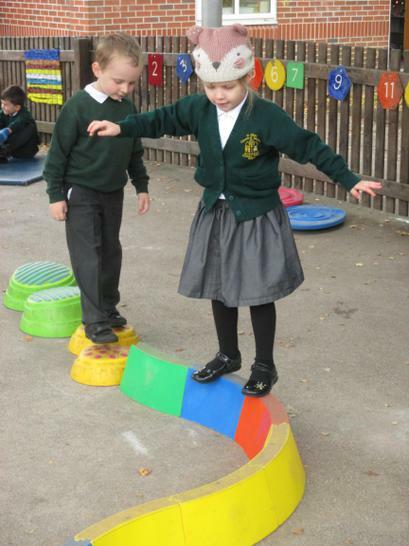 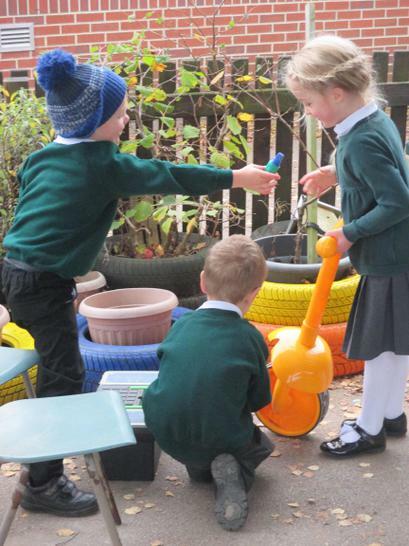 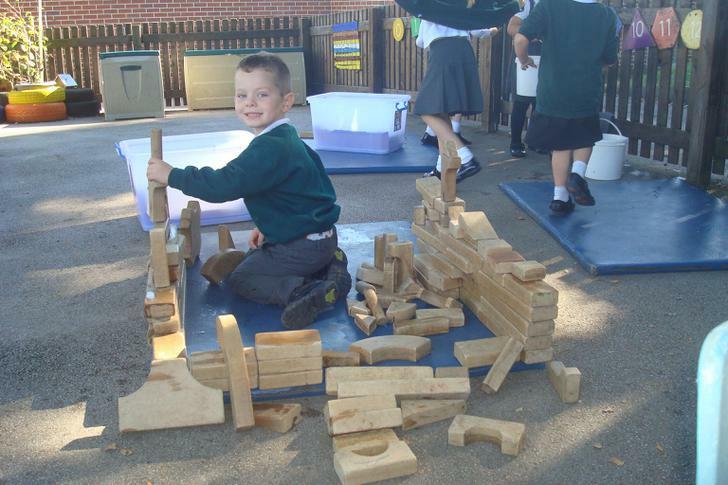 At St John's CE Primary School and Nursery we know how important it is for our early years children to learn through play both indoors and outdoors. 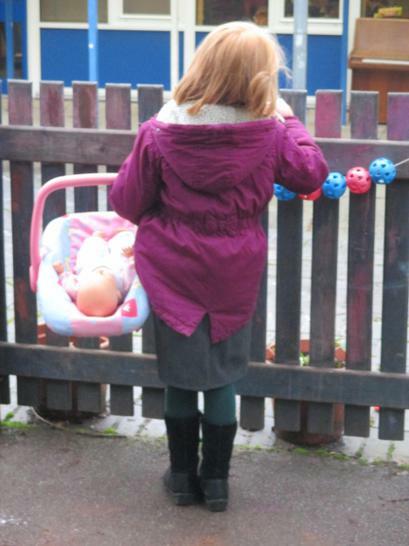 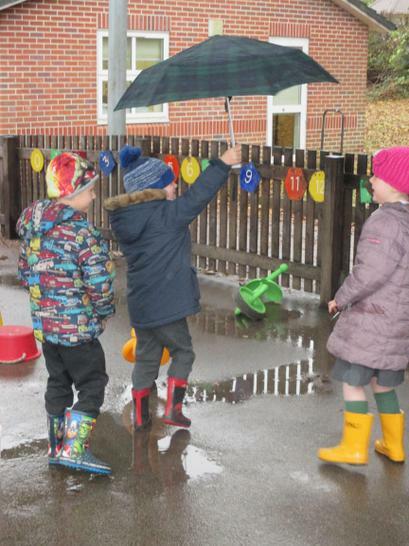 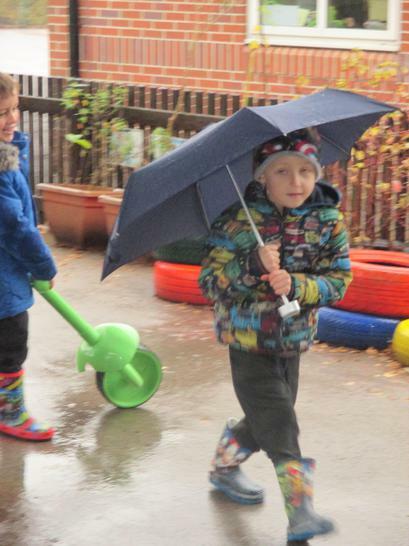 Please make sure your child has appropriate outdoor clothing throughout the year, for example they always need a coat, welly boots and a sun hat in the summer months. 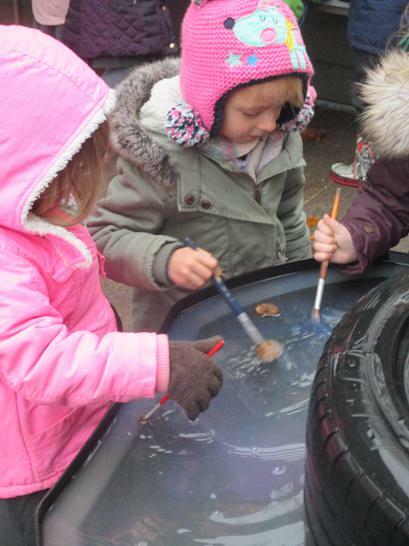 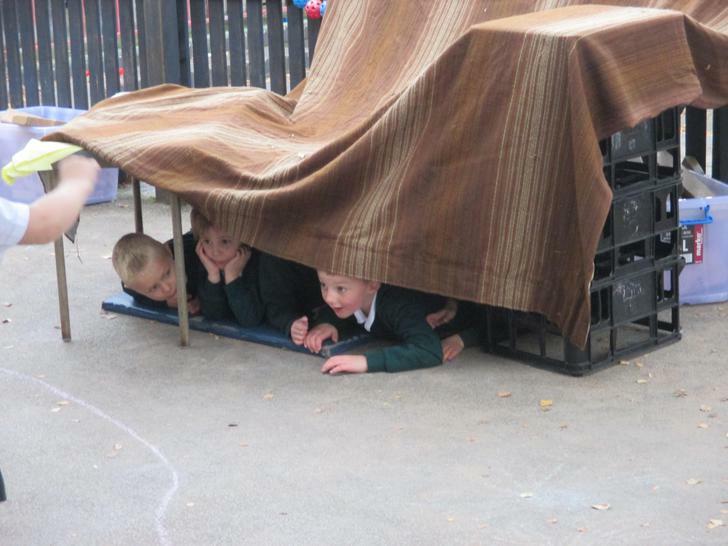 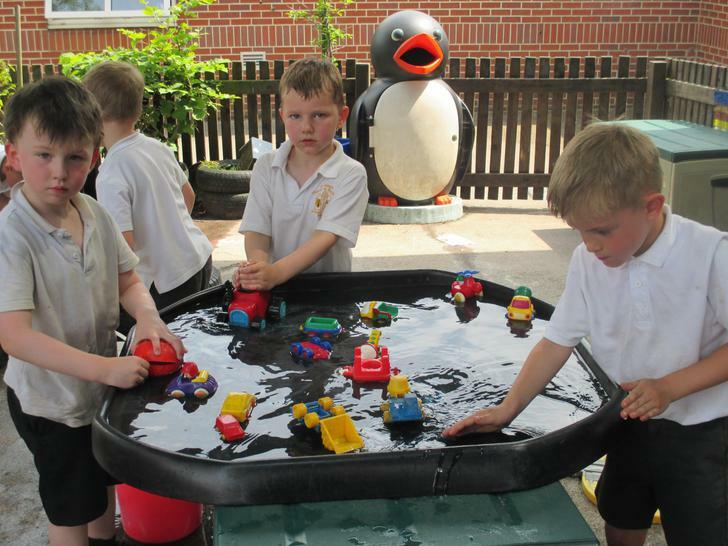 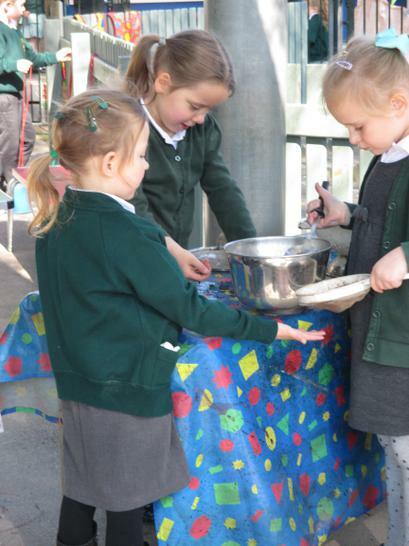 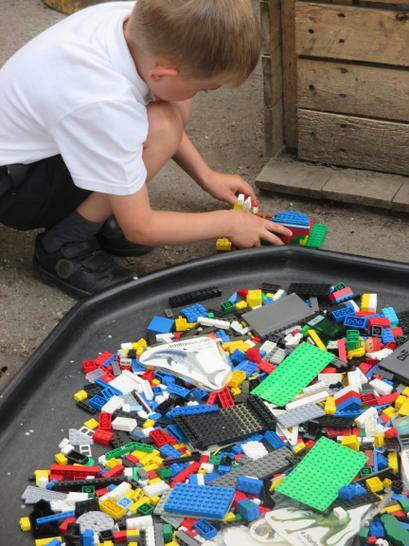 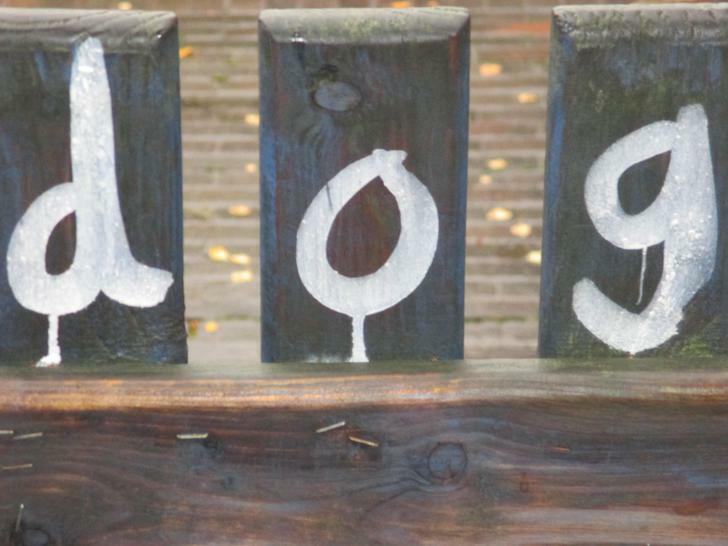 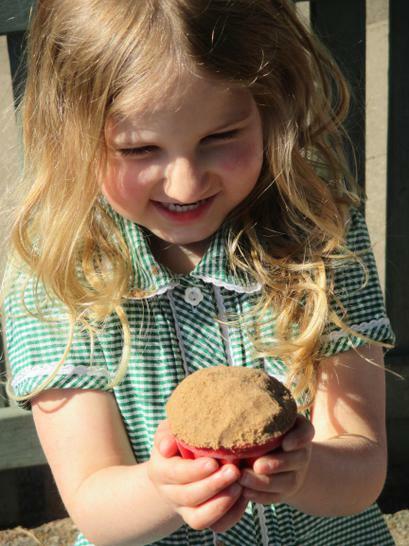 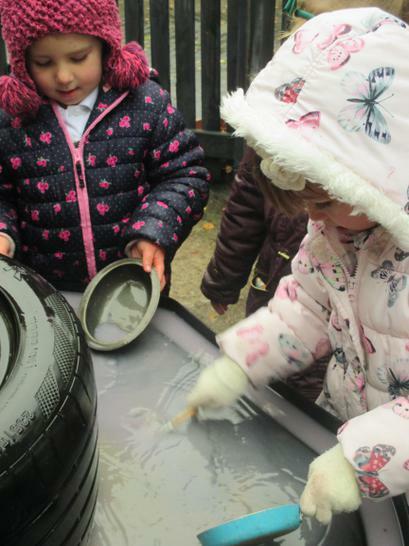 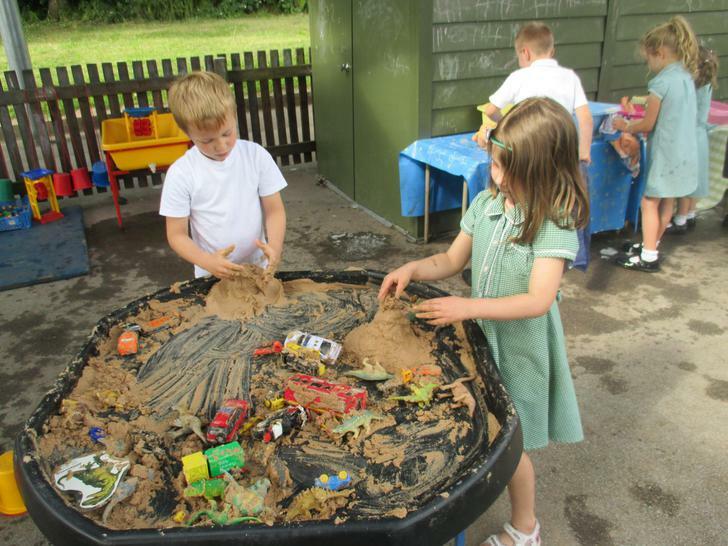 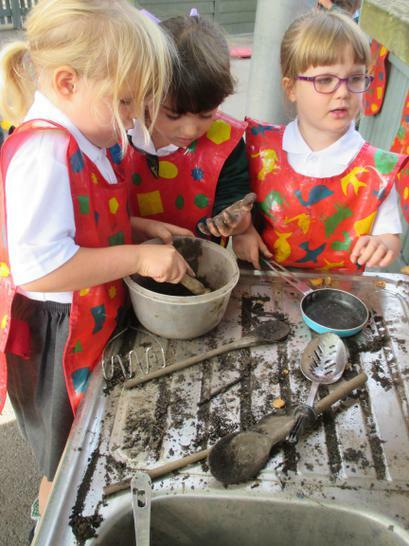 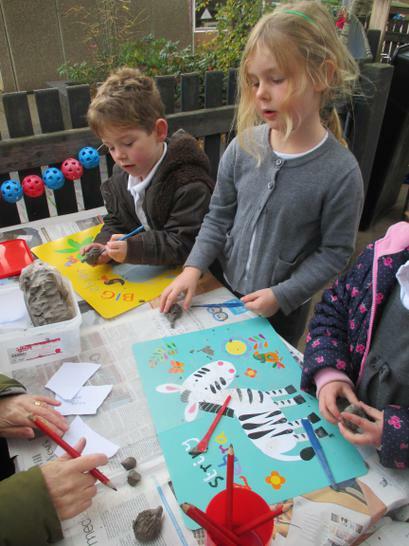 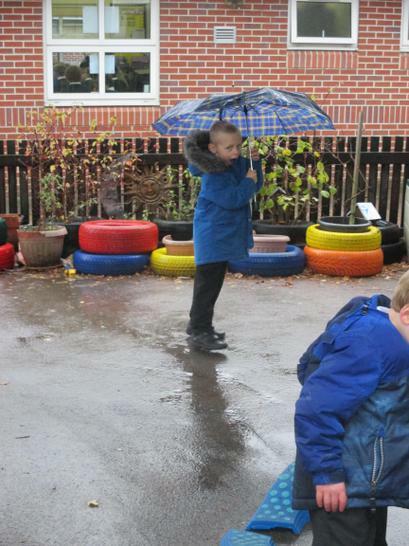 Scroll down to see some of the outdoor learning opportunities your child will be getting throughout their year in Reception. 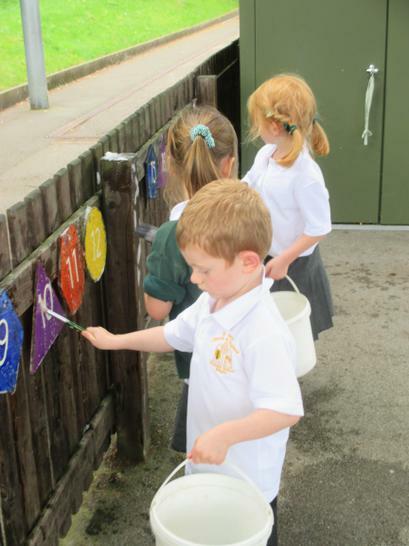 Keep checking our 'Reception Photographs' link to see more photos of your children as the year goes by. 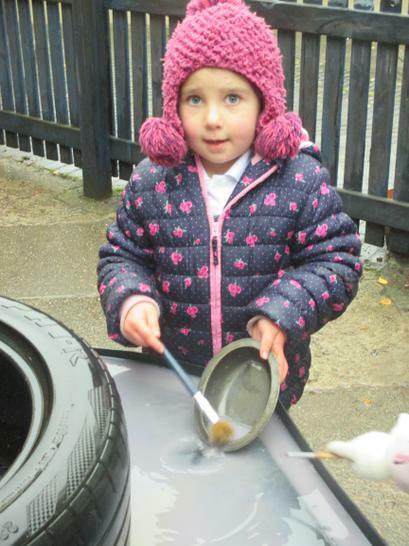 We have had a great start to 2017! 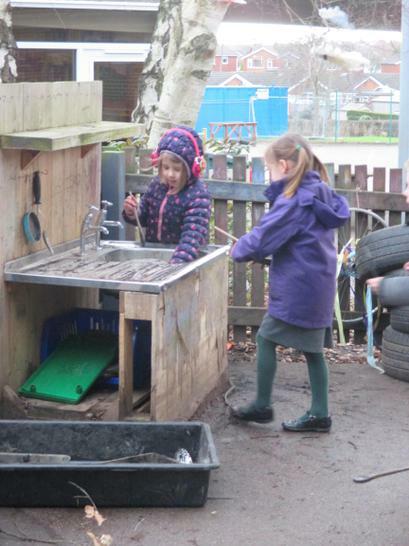 Lots of outdoor learning and play. 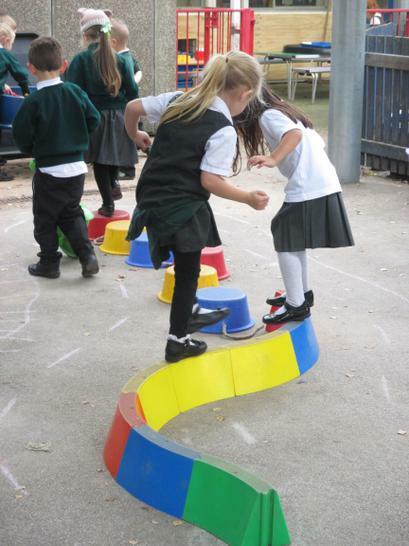 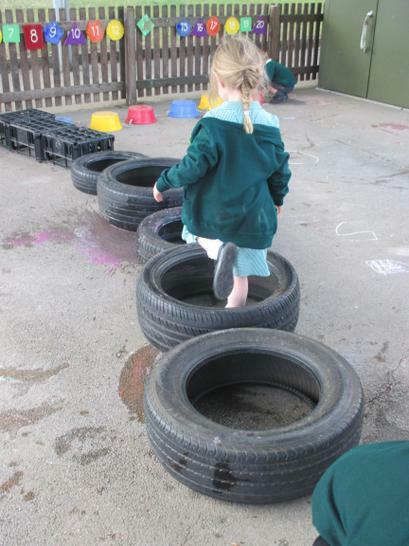 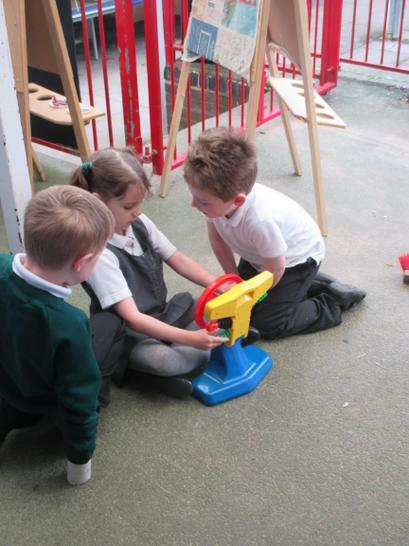 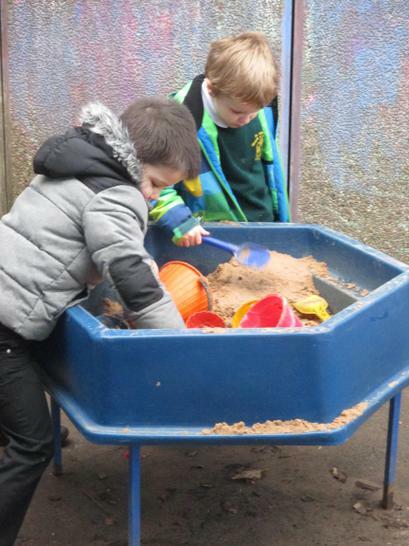 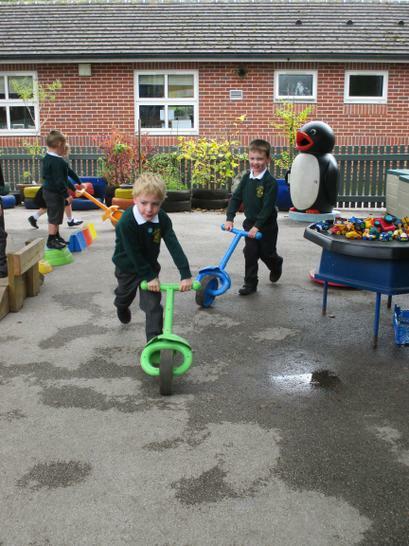 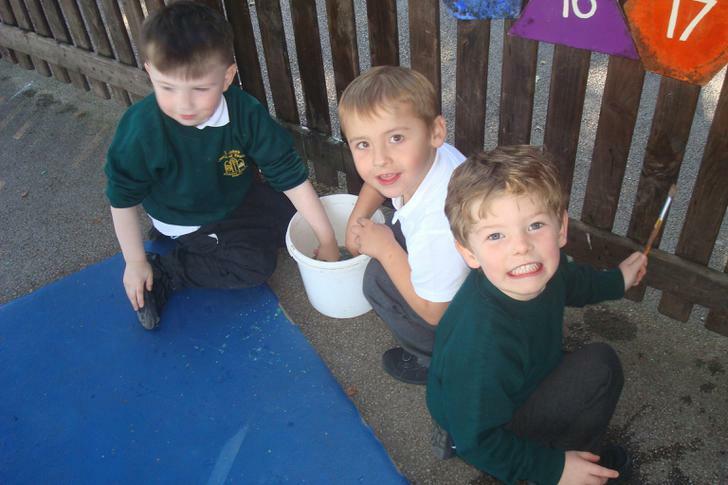 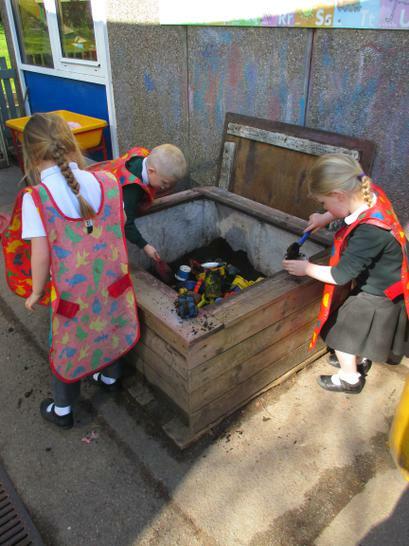 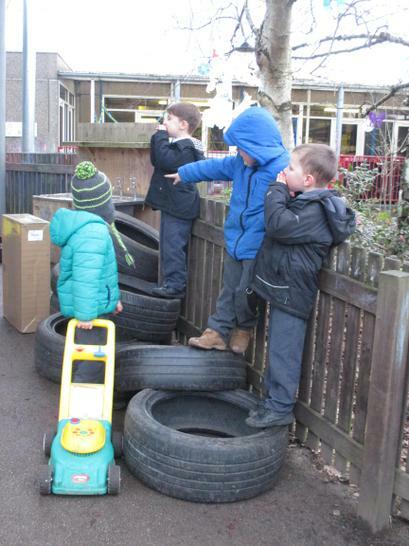 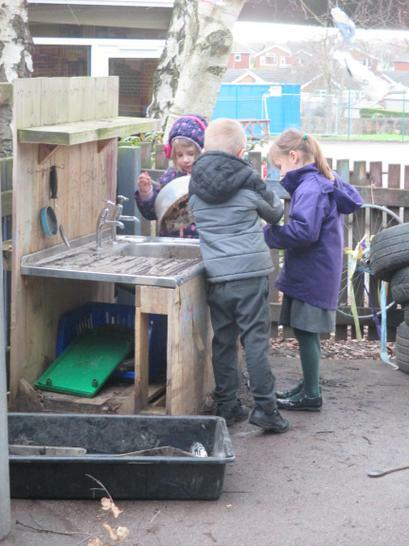 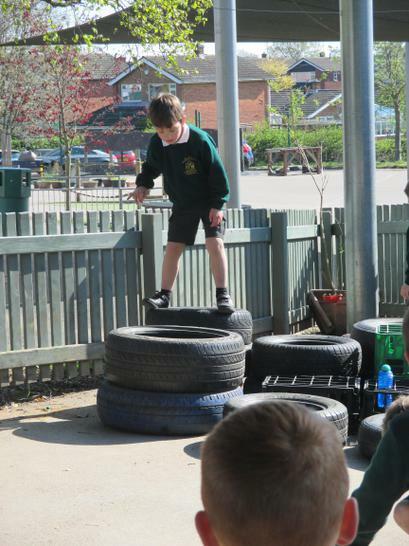 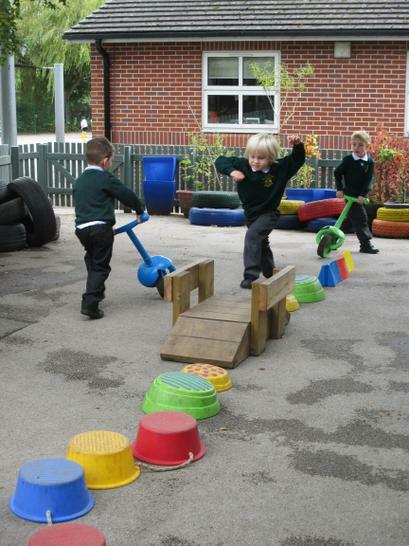 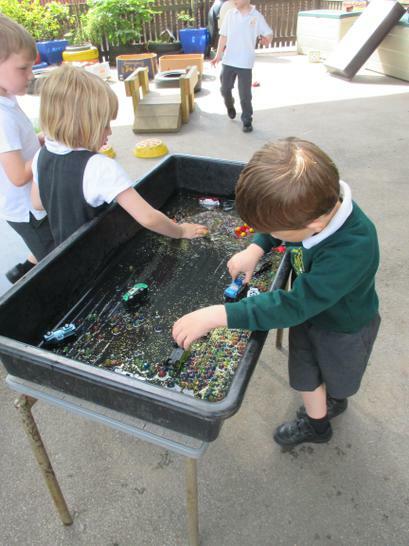 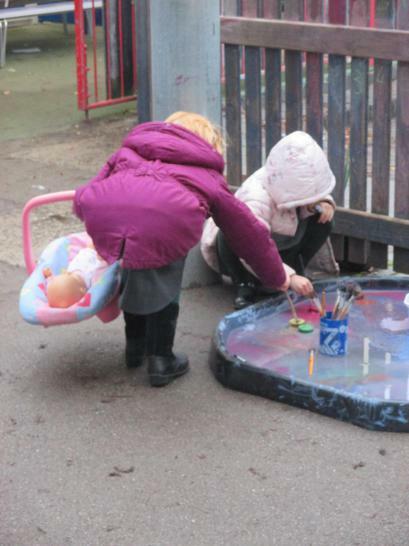 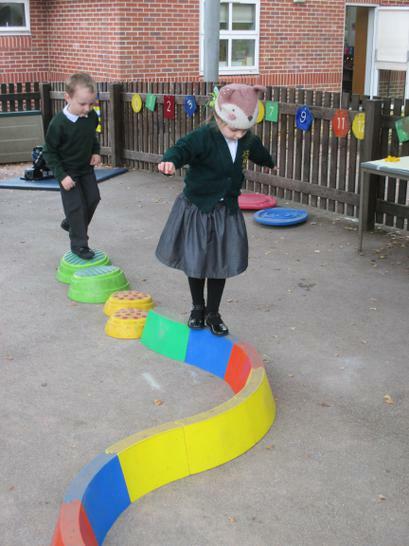 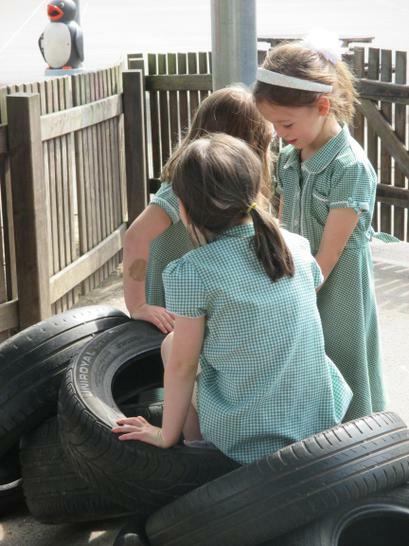 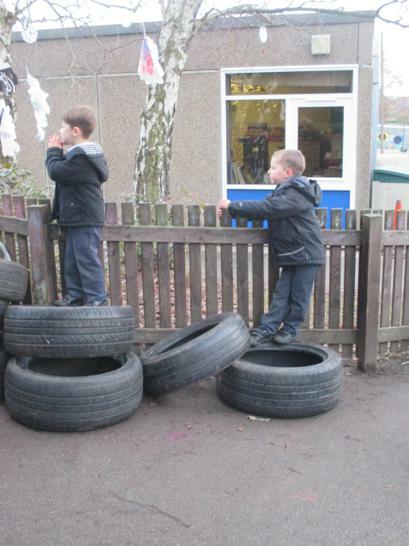 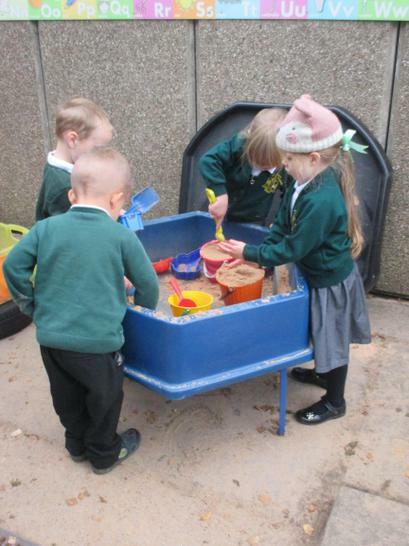 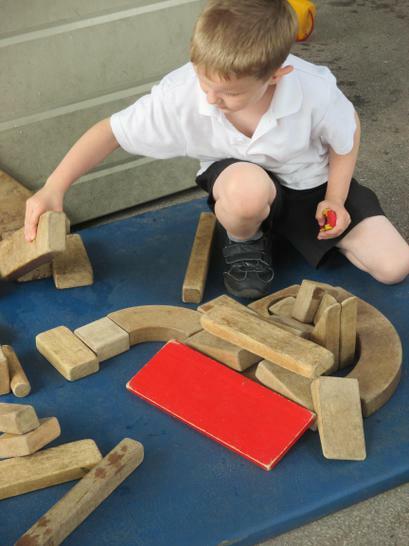 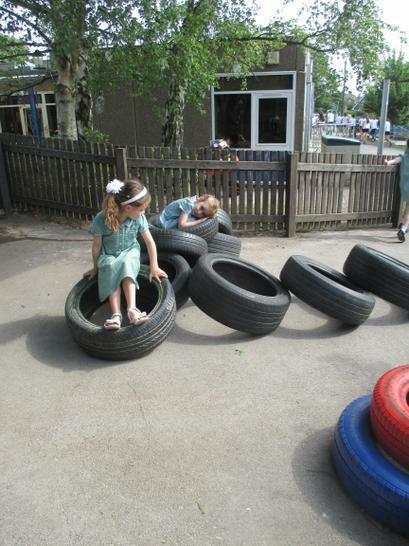 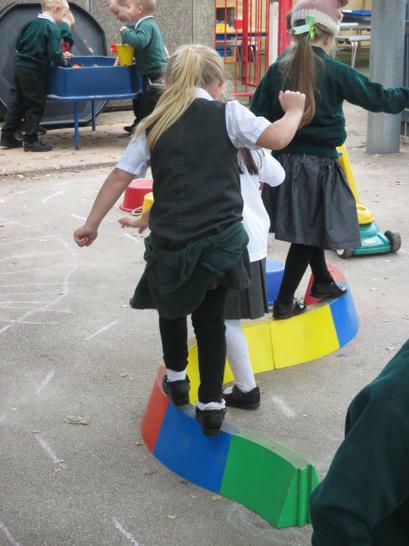 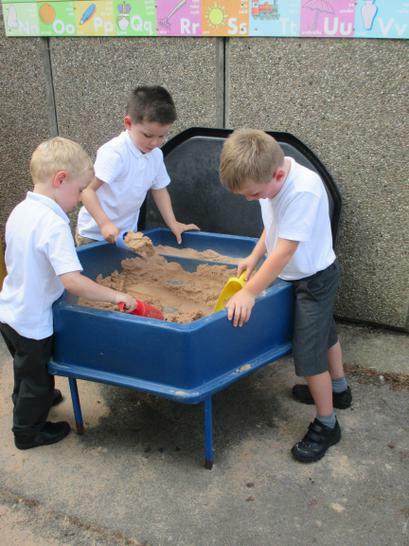 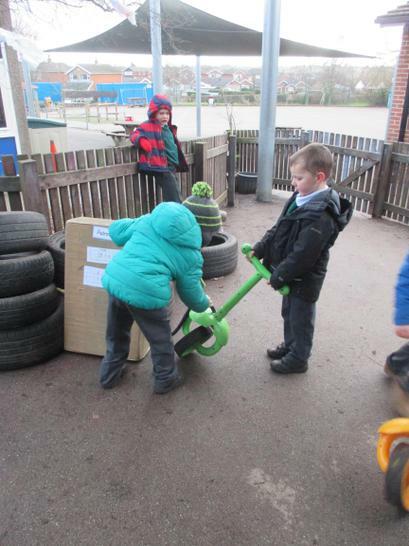 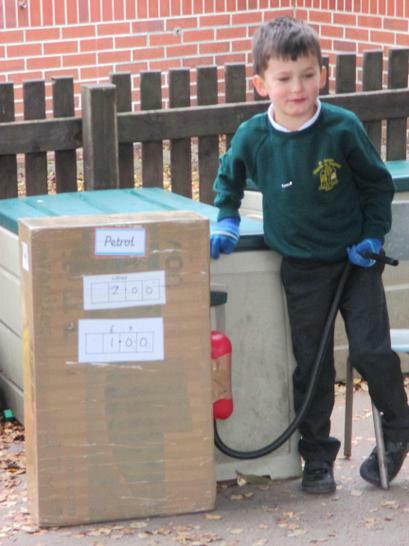 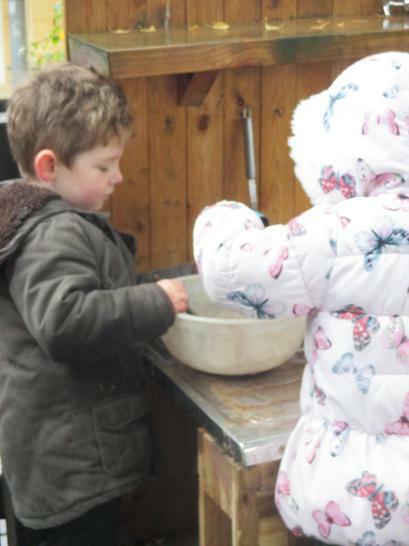 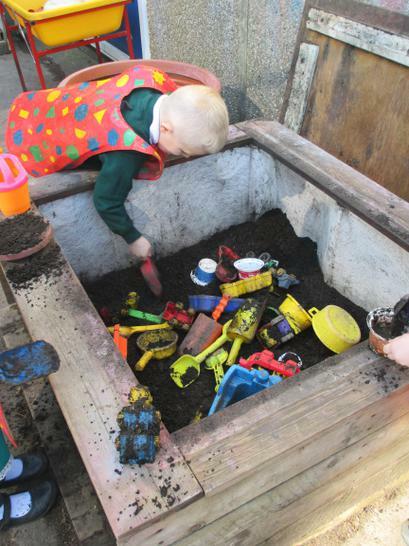 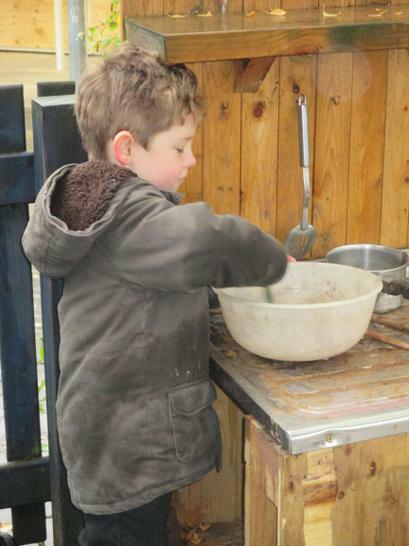 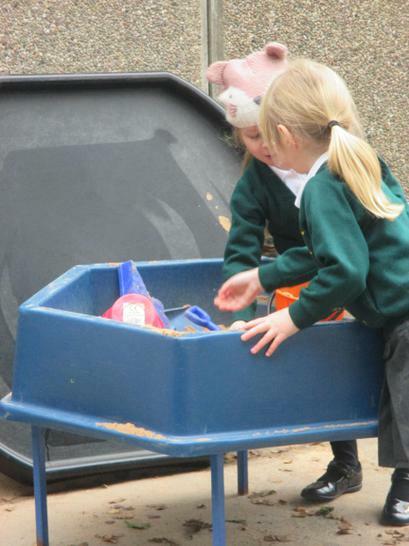 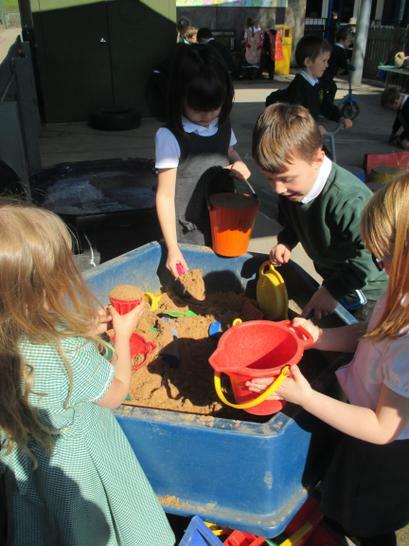 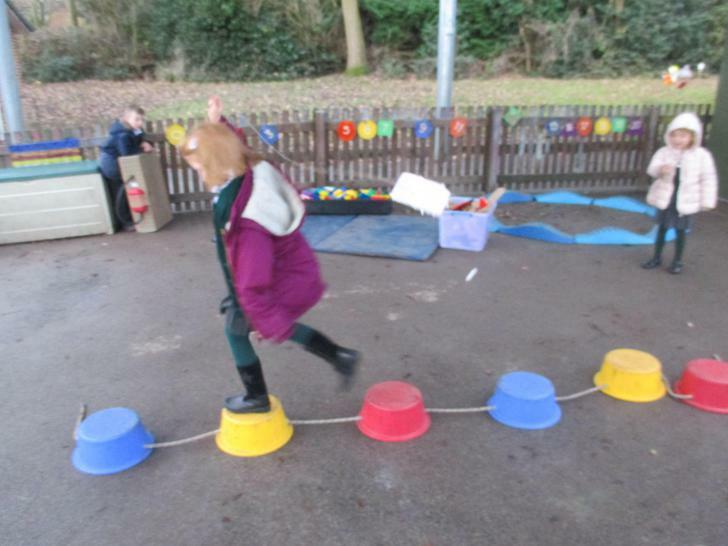 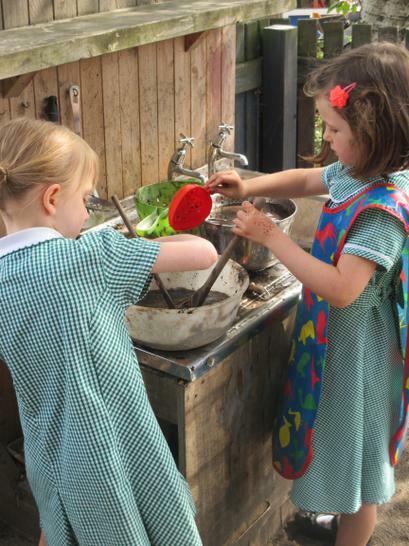 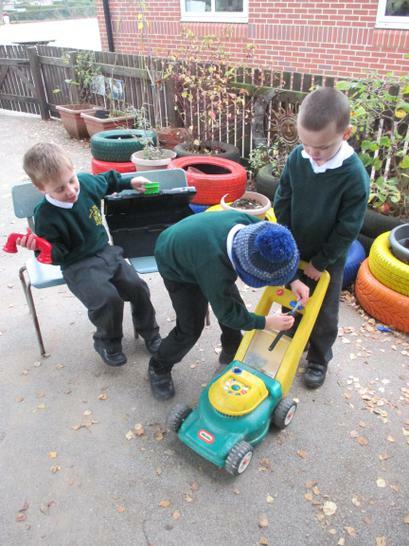 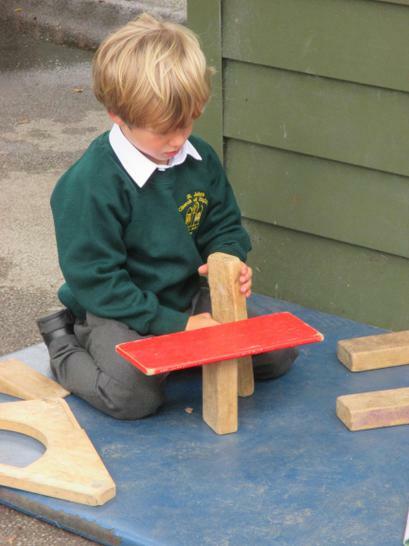 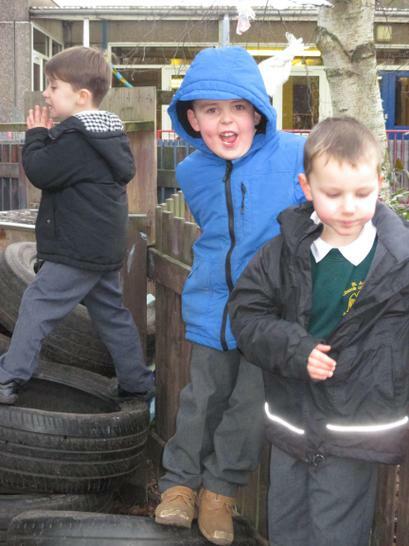 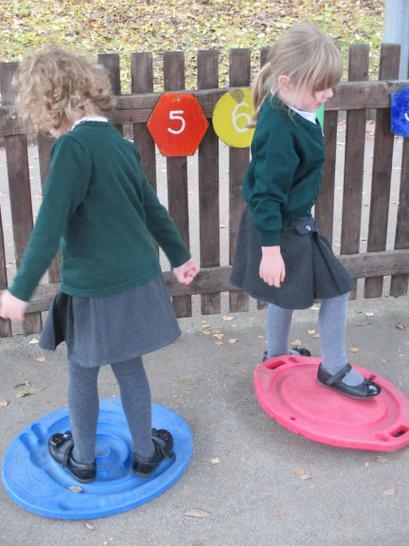 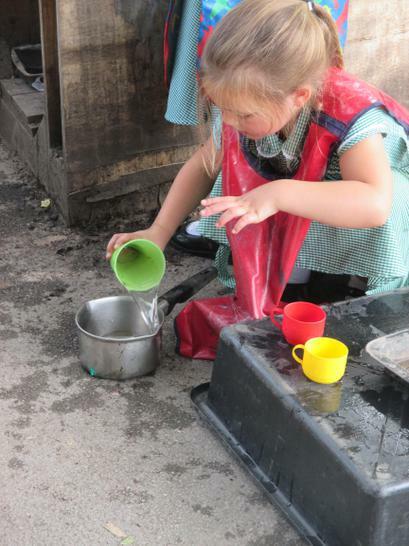 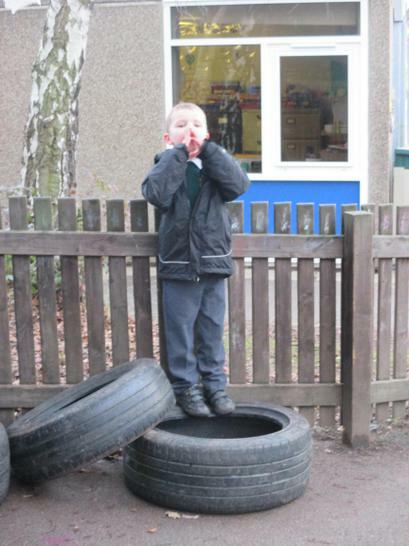 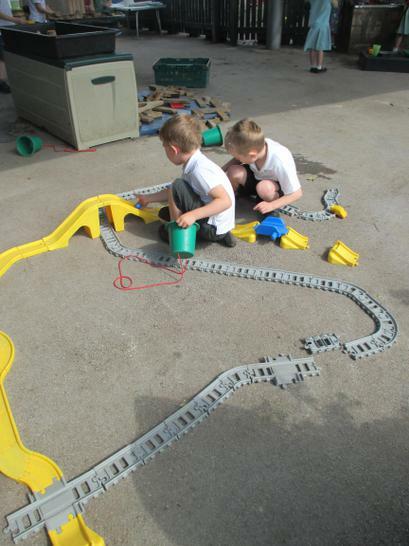 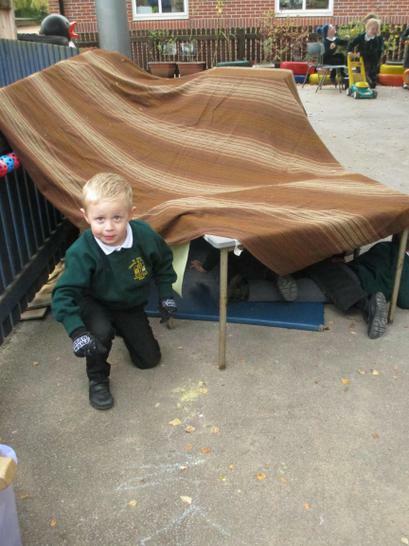 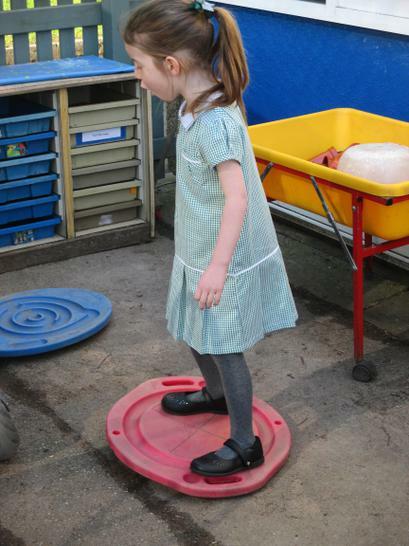 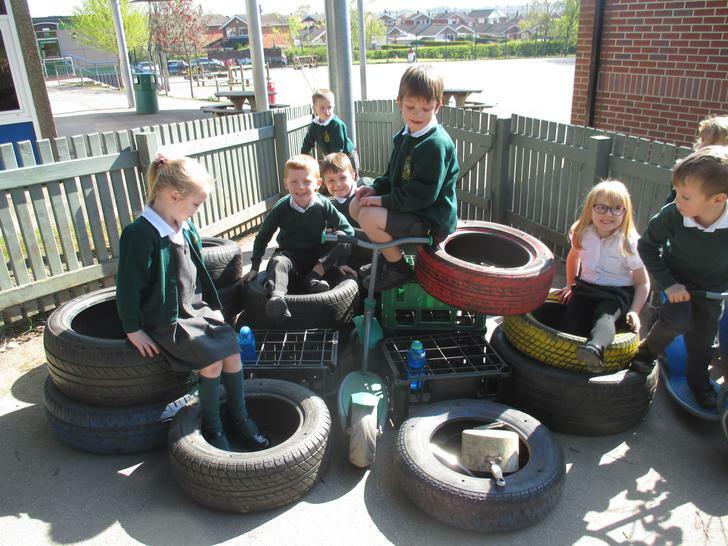 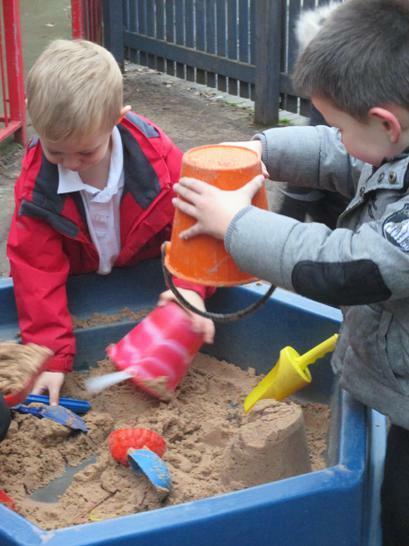 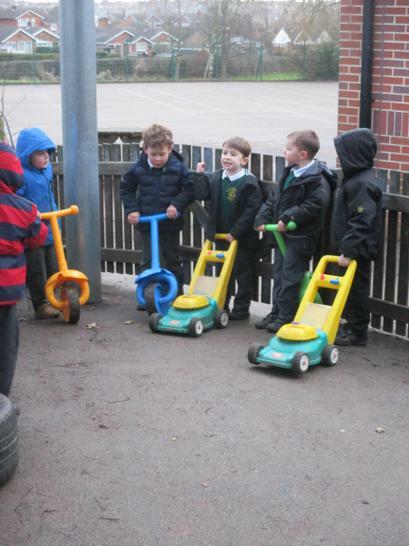 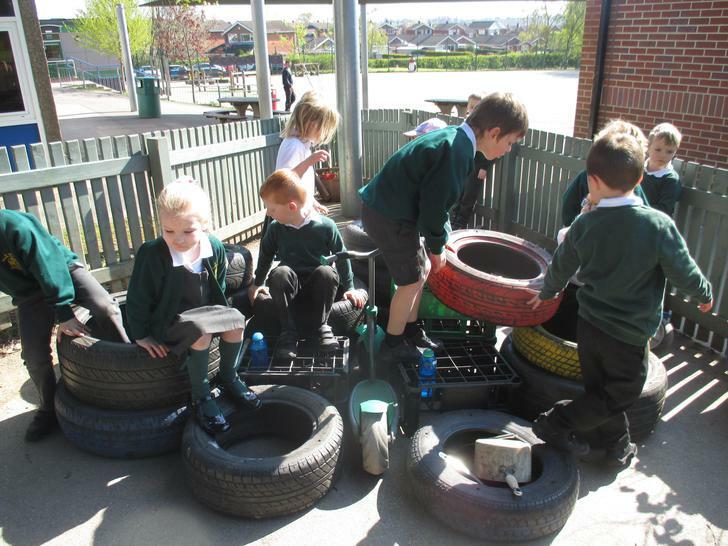 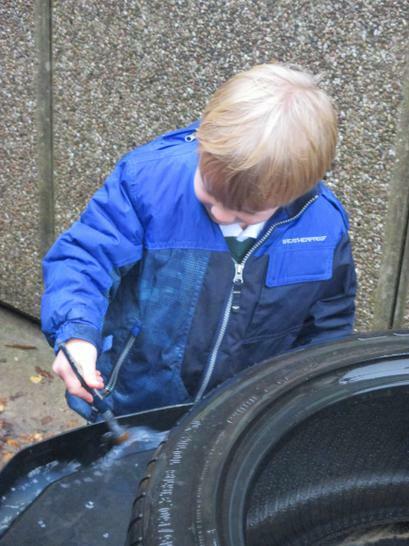 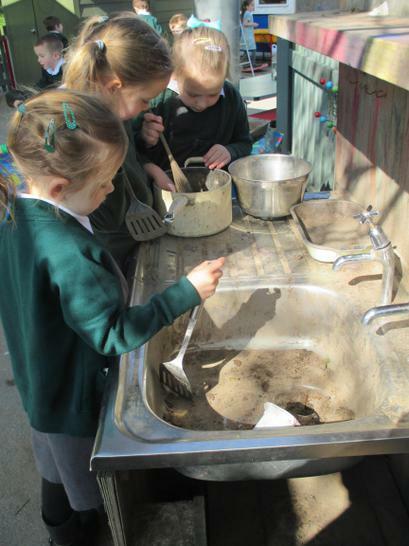 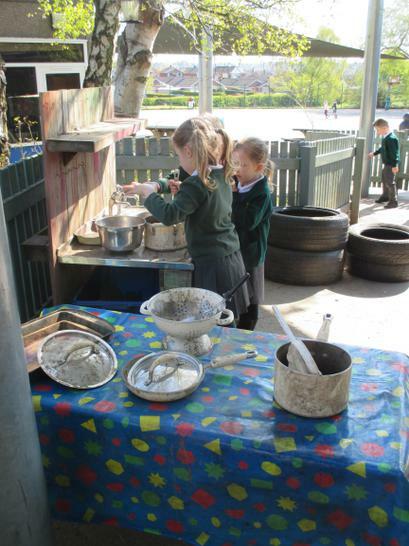 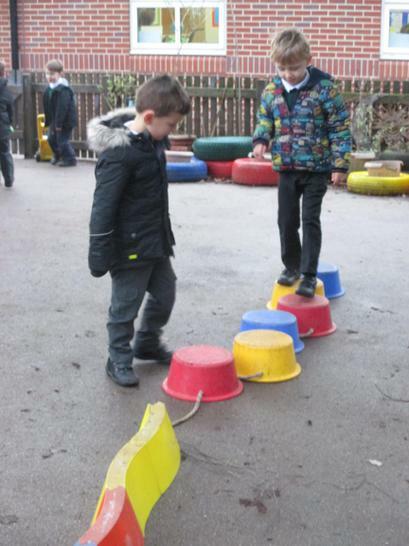 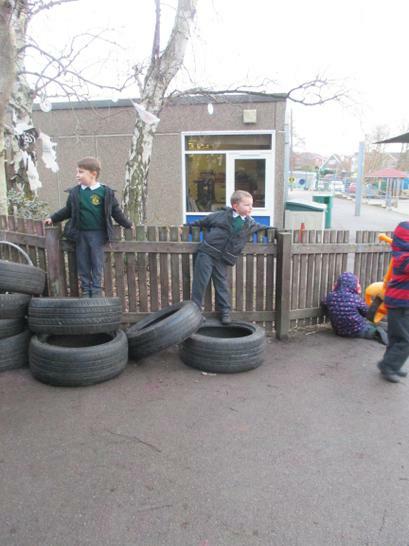 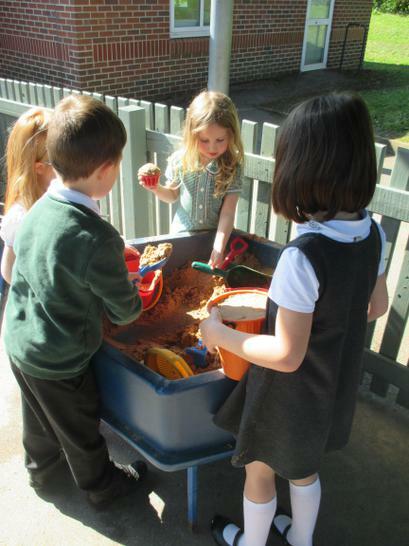 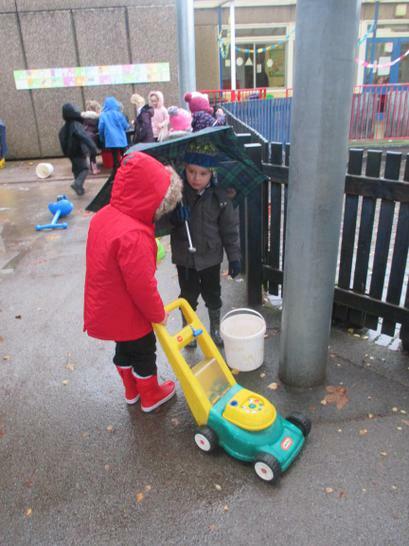 The children enjoy getting outside and exploring the resources provided. 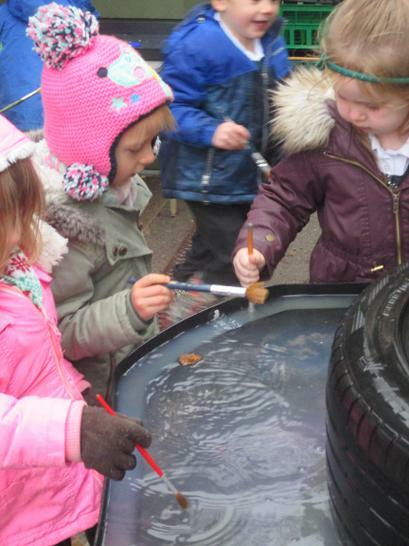 Even the cold days don't stop us from getting out and having fun! 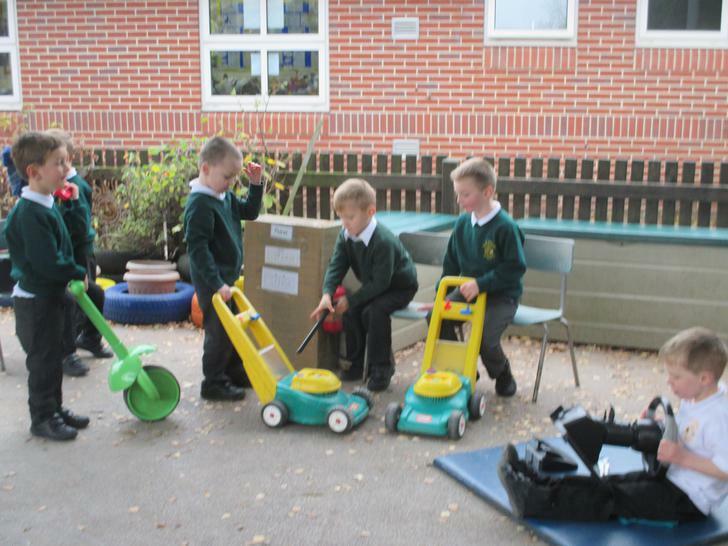 Because of the wet weather we've been having this week, our outdoor area toys needed a bit of TLC! 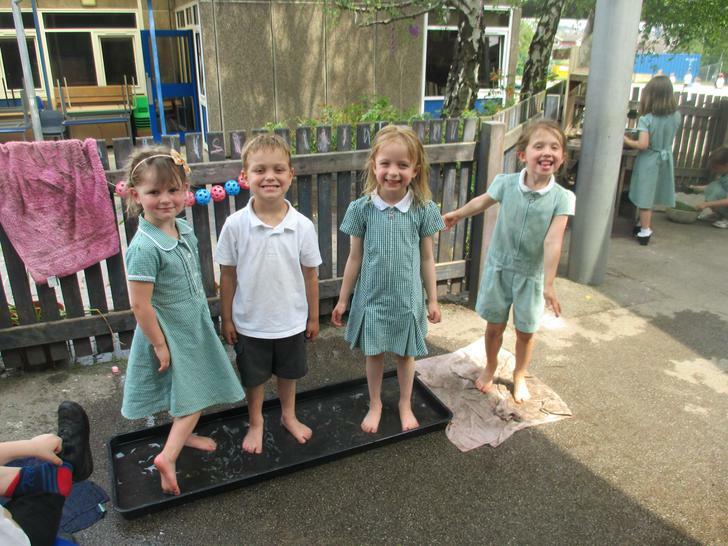 The children worked together as a team to give our mats a good wash to get the muddy footprints off! 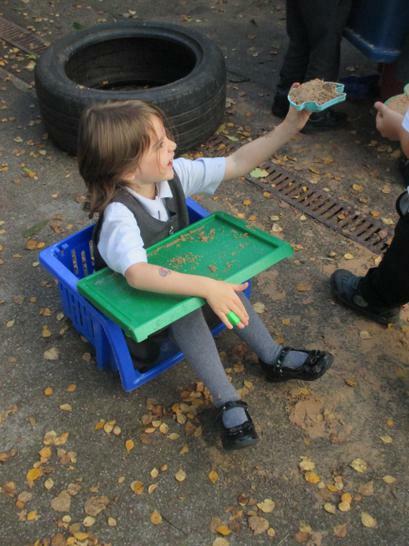 The children have been exploring capacity using Autumn coloured rice. 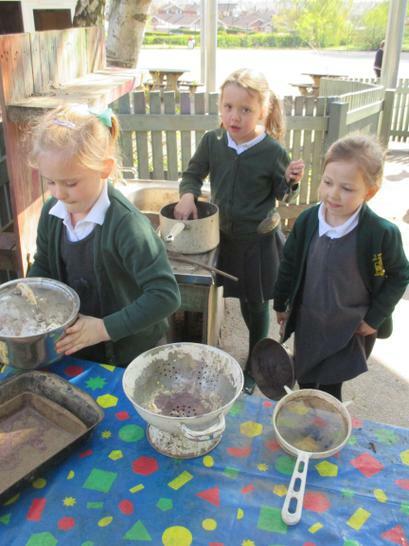 Mrs Betterton and Miss Fox have been helping the children to make some fabulous clay hedgehogs too! 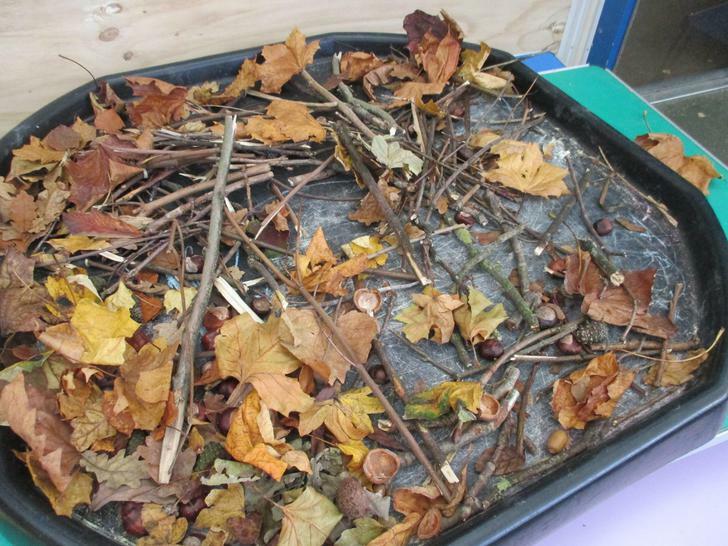 Thank you for all the children who went on Autumn walks last weekend and brought in lots of Autumn objects. 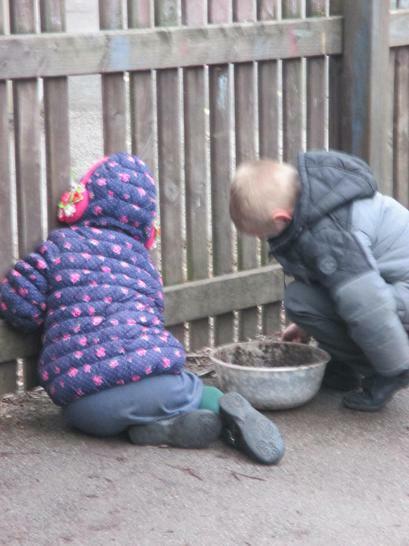 We have been using them to build some dens for our woodland animals and nests for our hedgehogs. 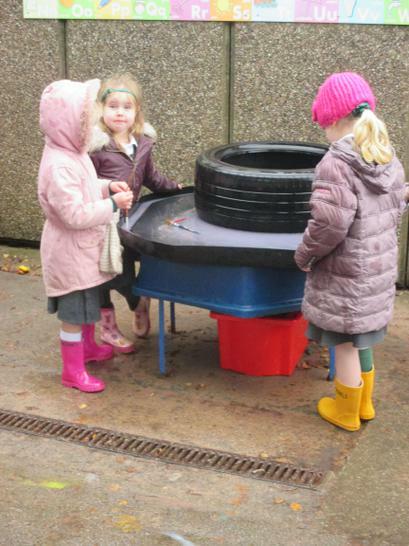 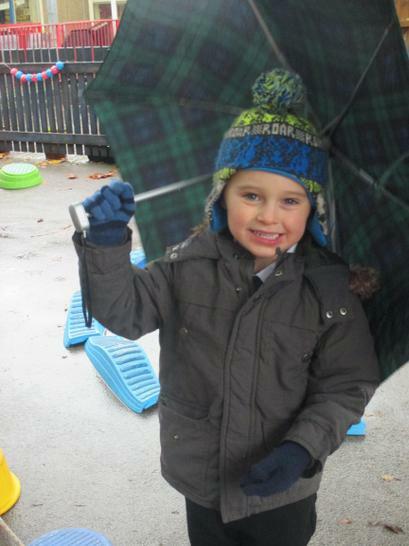 Learning outdoors on a cold, rainy day! 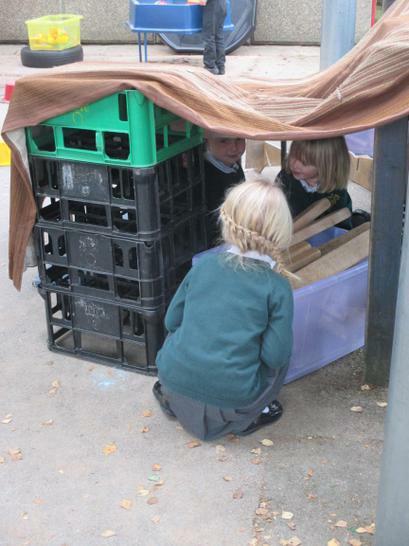 Exciting day of den building, role playing petrol stations and balancing! 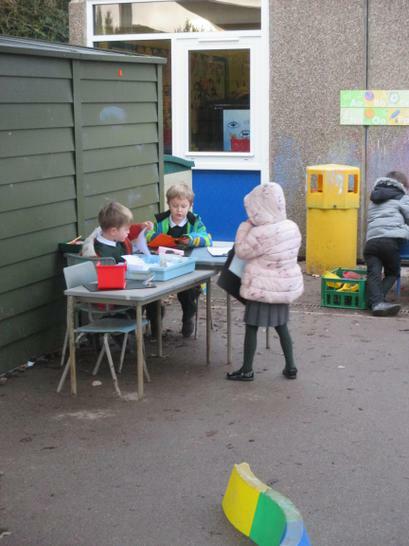 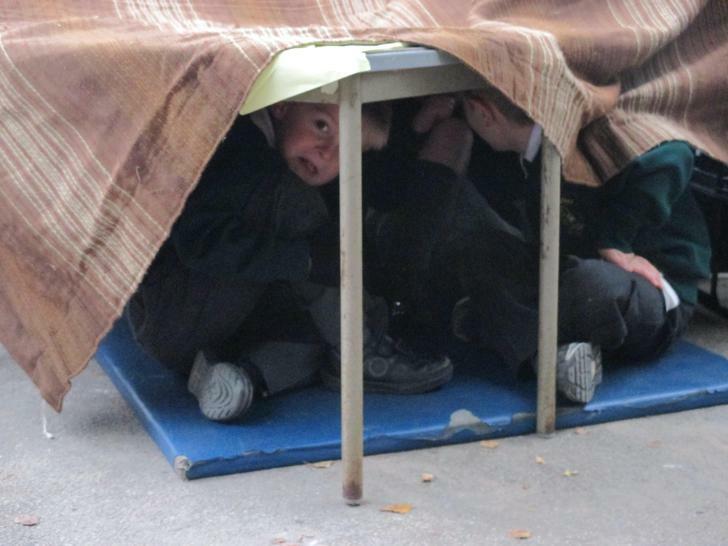 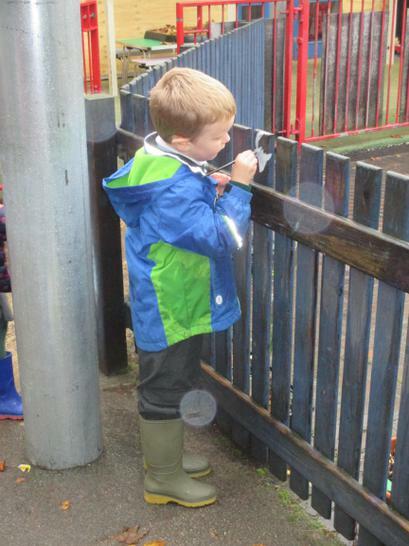 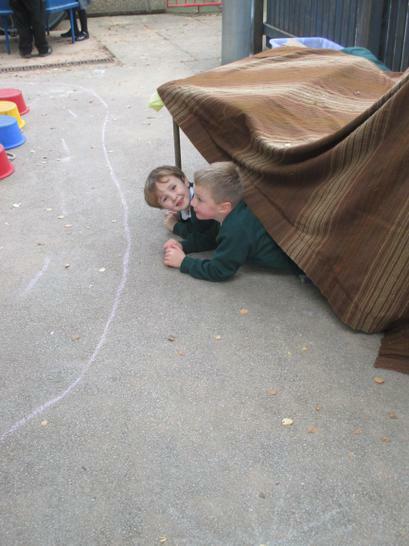 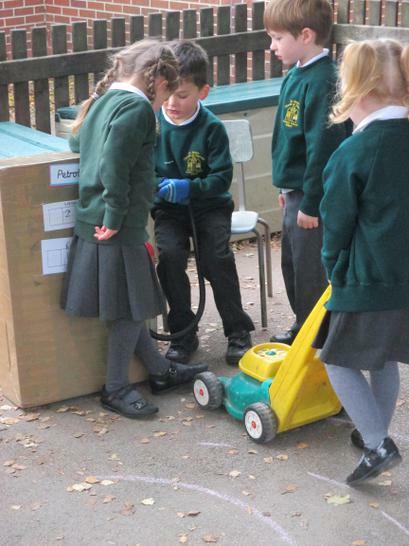 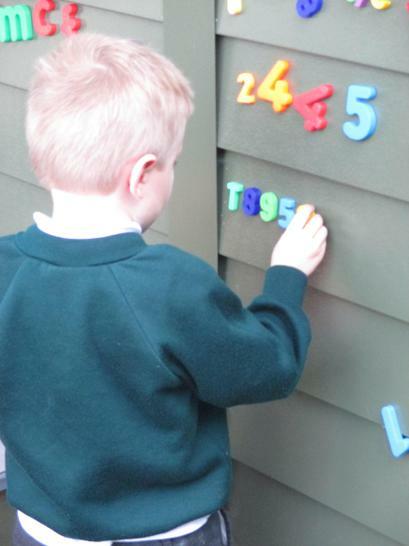 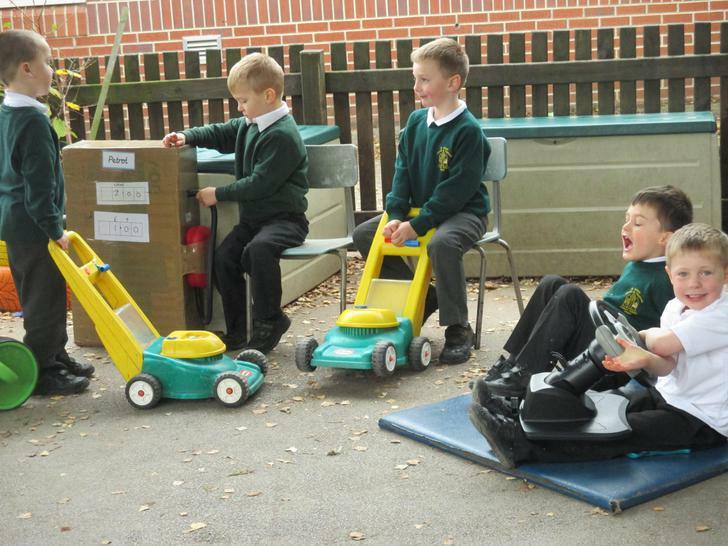 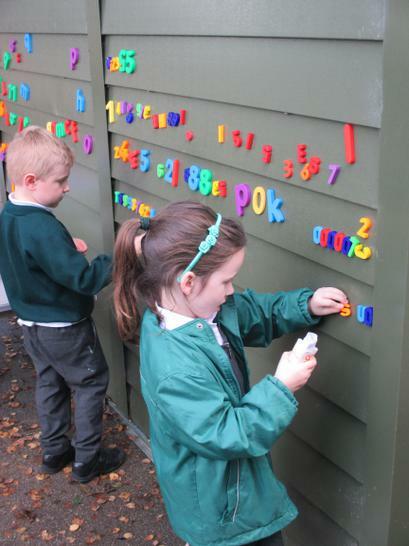 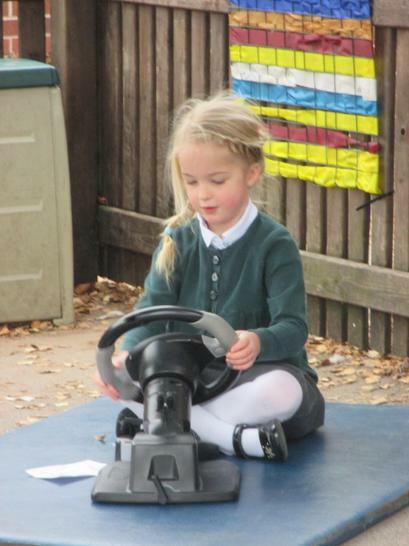 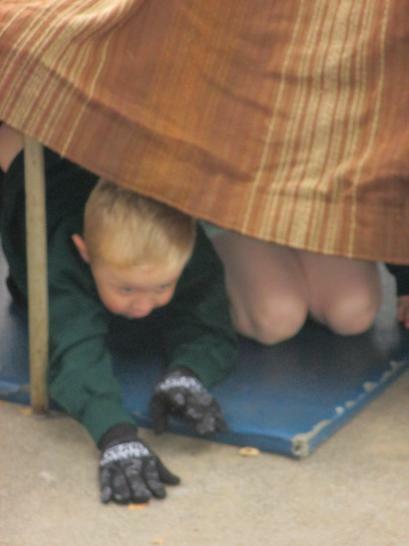 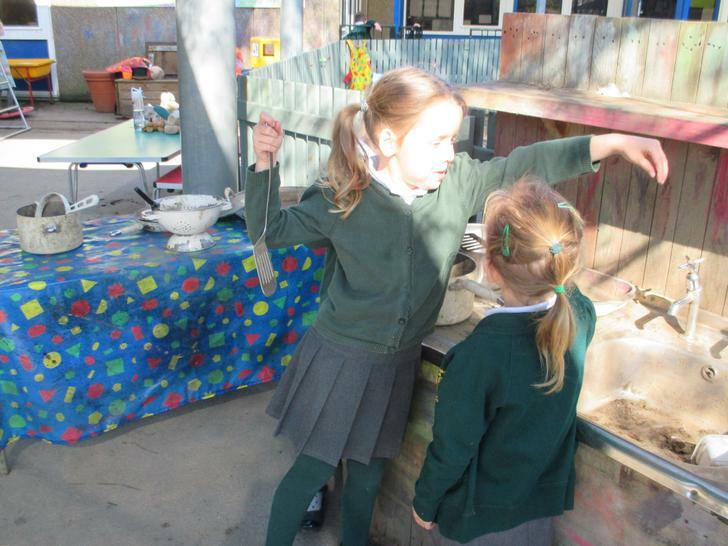 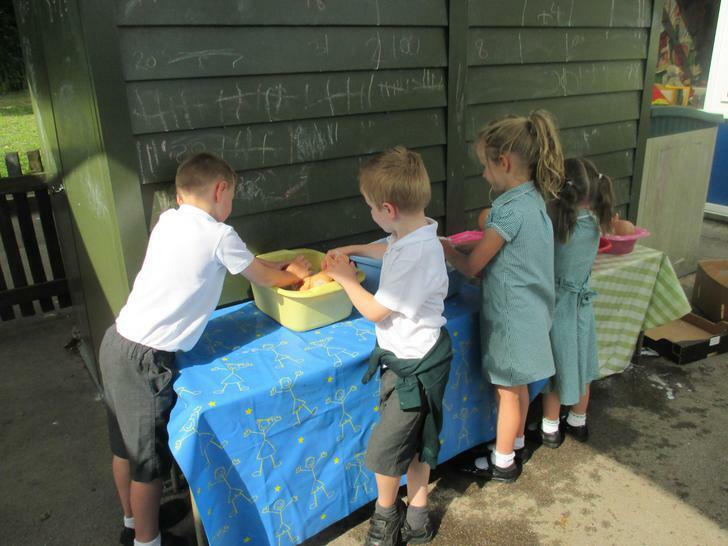 The children in Reception enjoy learning in our outdoor classroom. 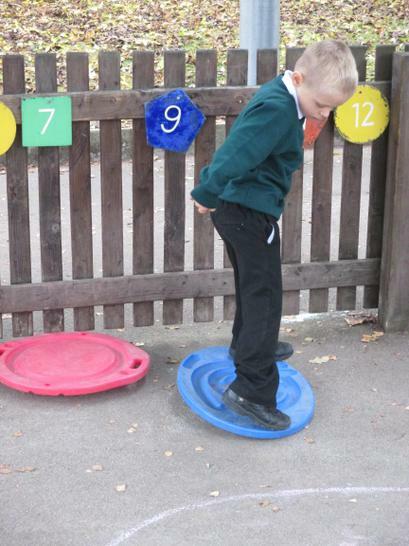 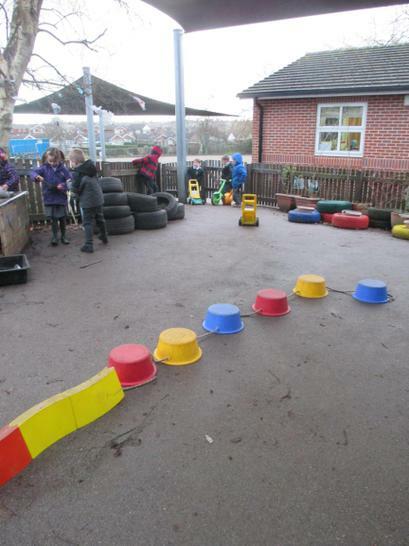 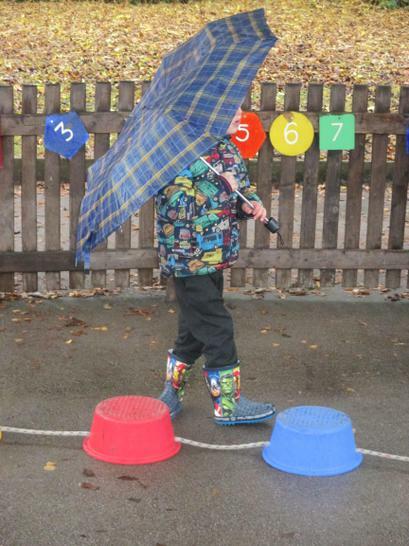 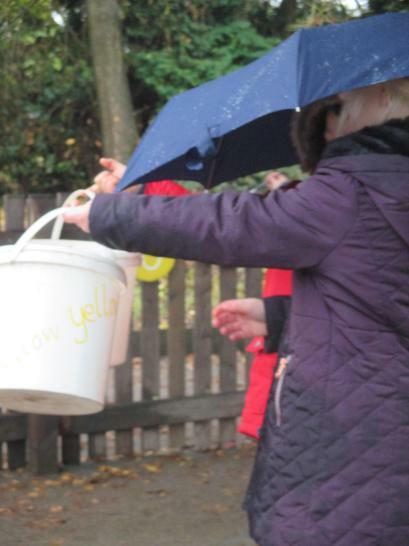 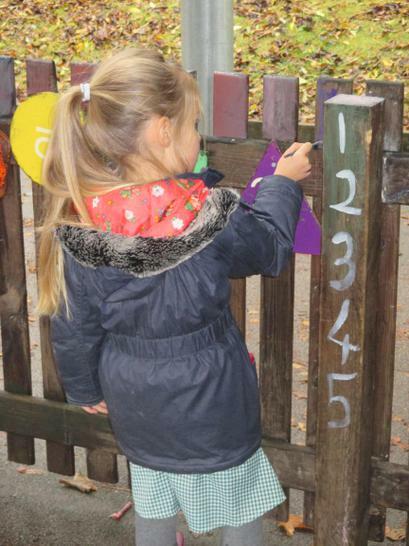 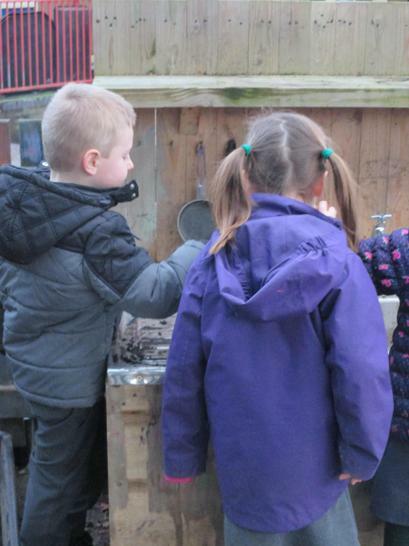 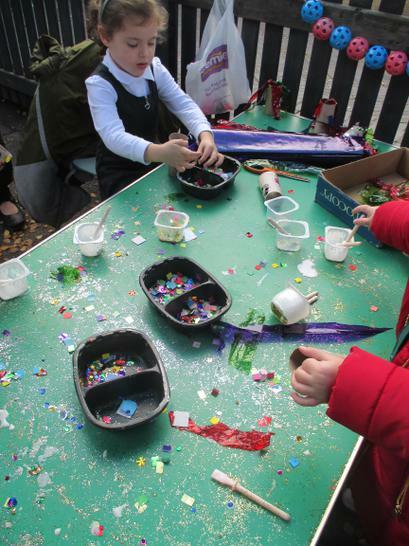 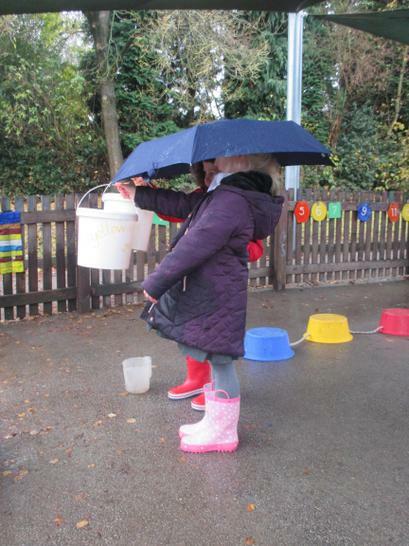 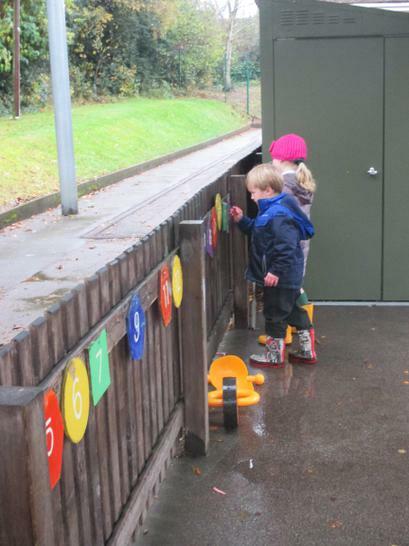 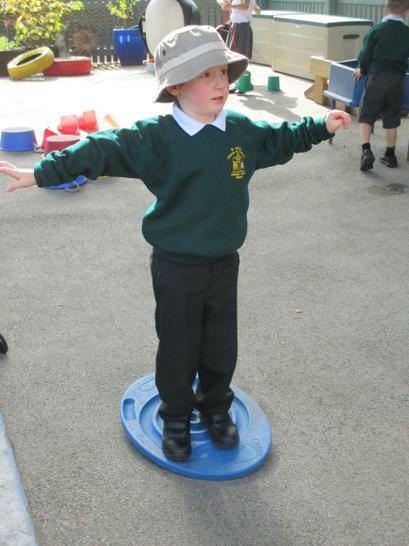 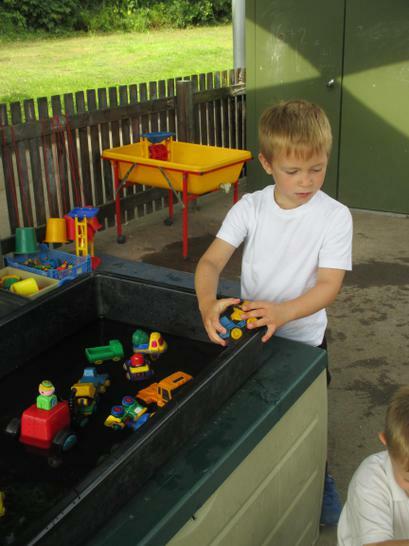 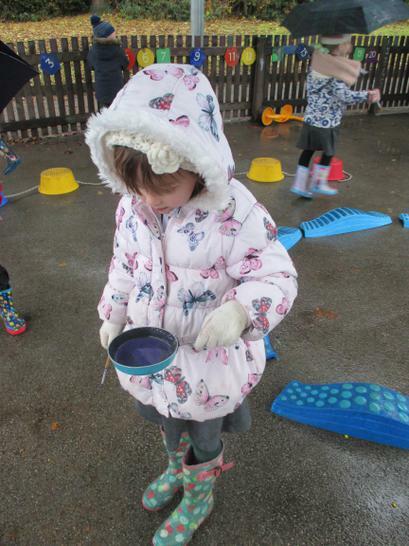 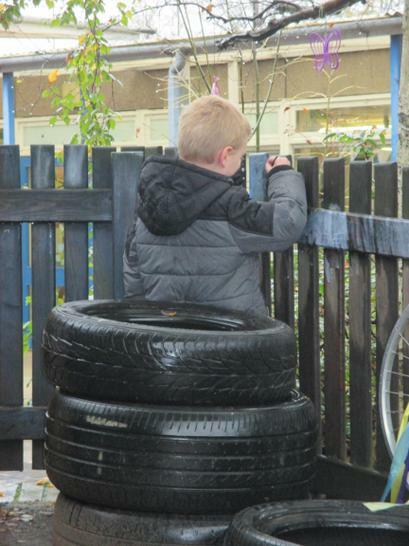 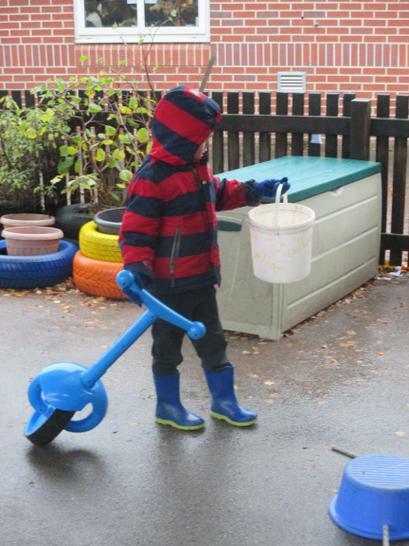 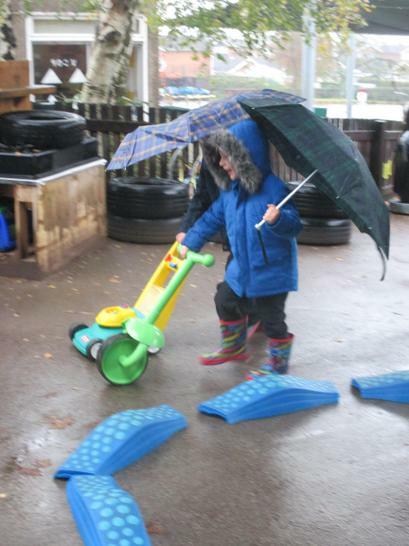 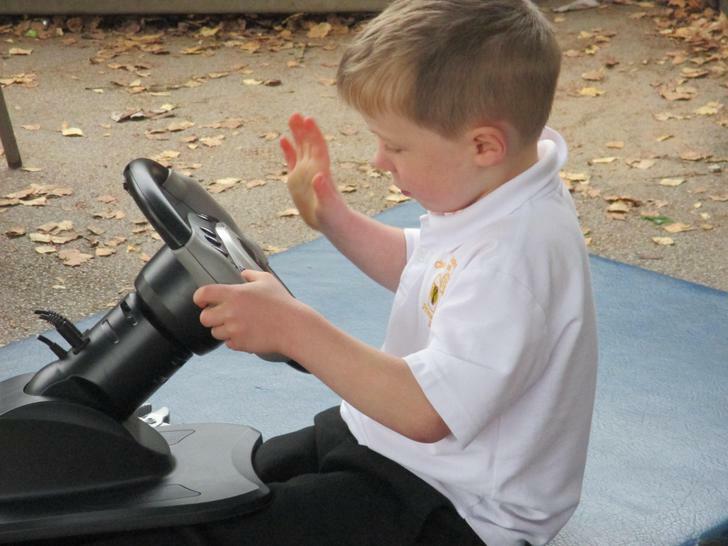 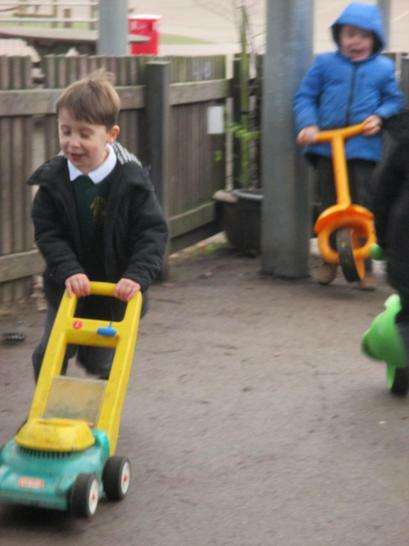 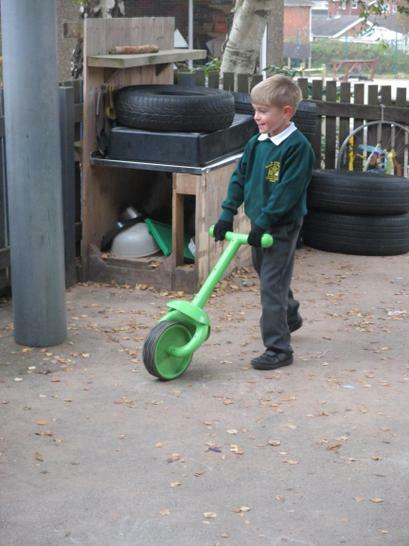 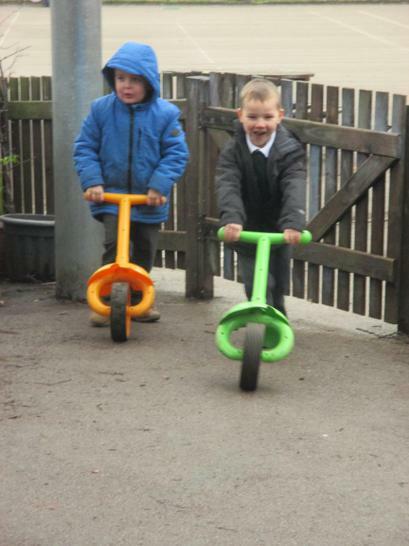 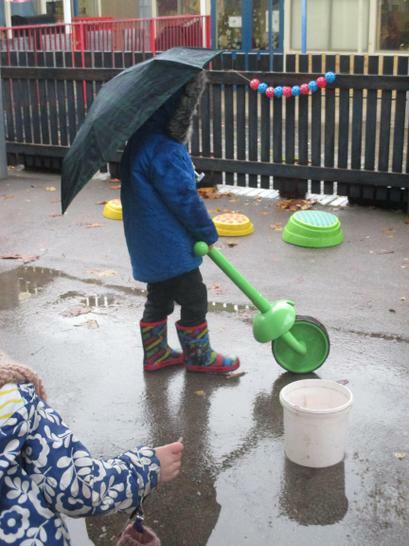 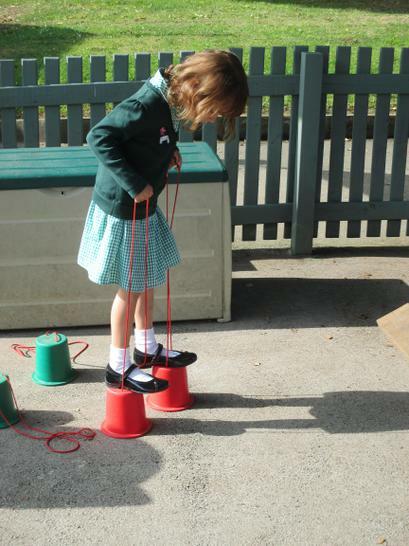 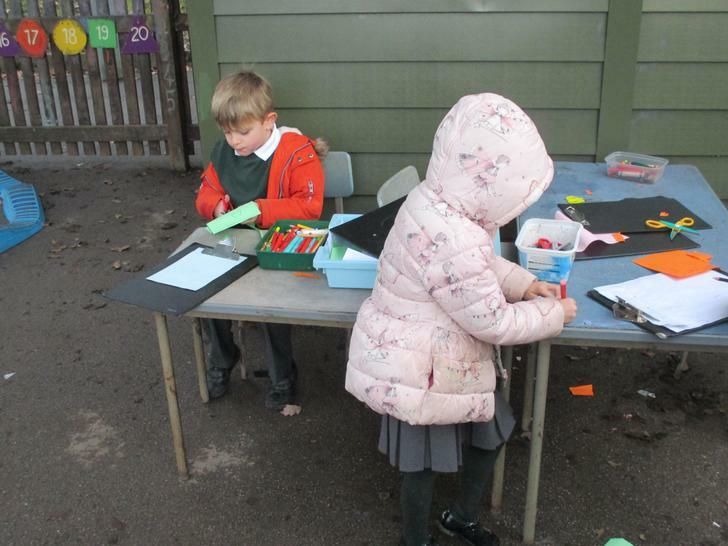 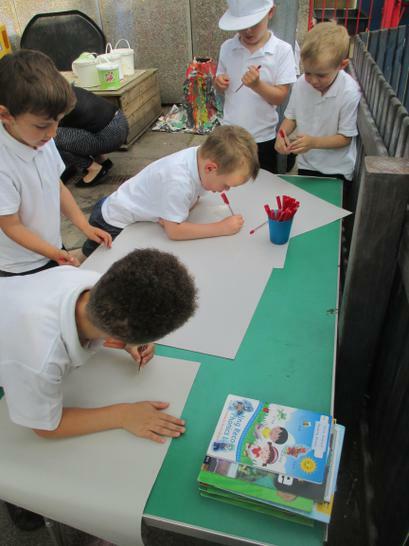 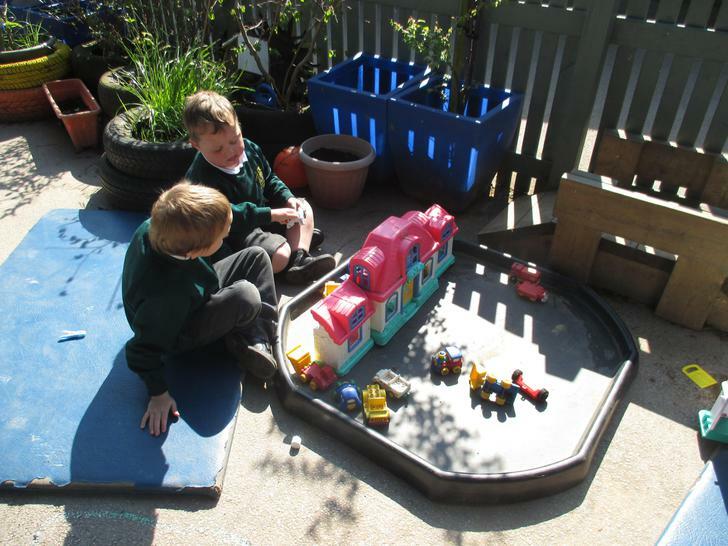 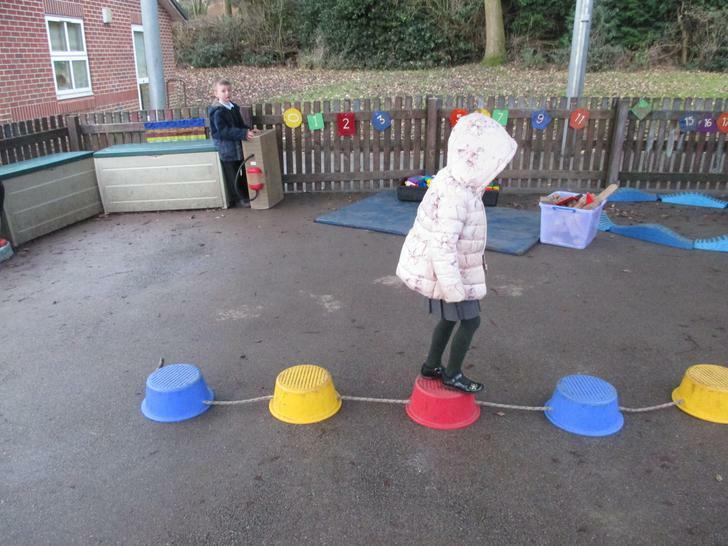 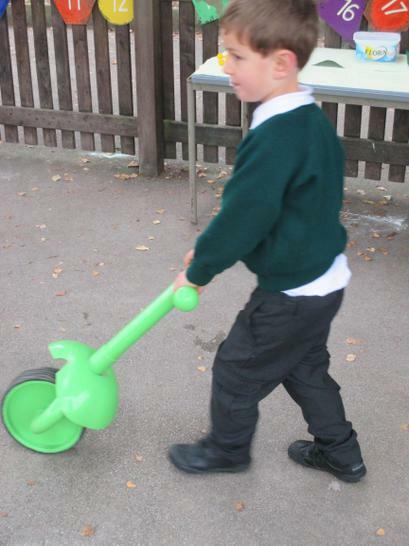 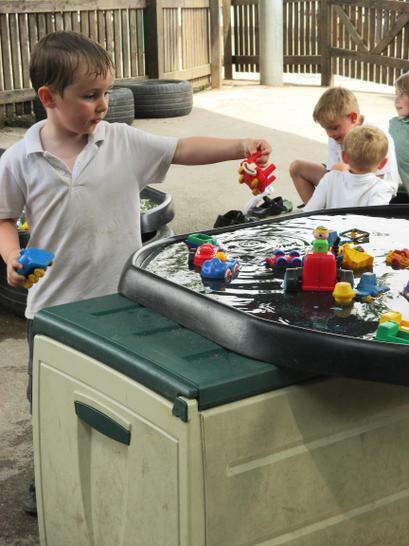 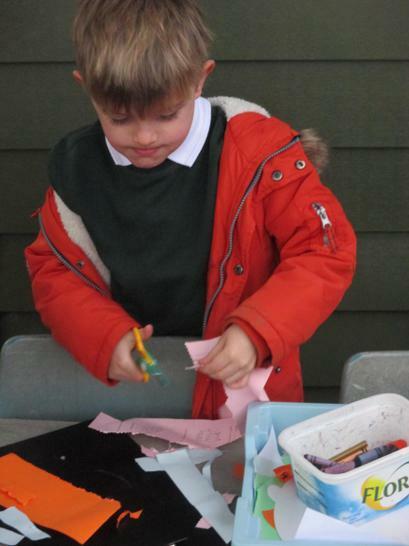 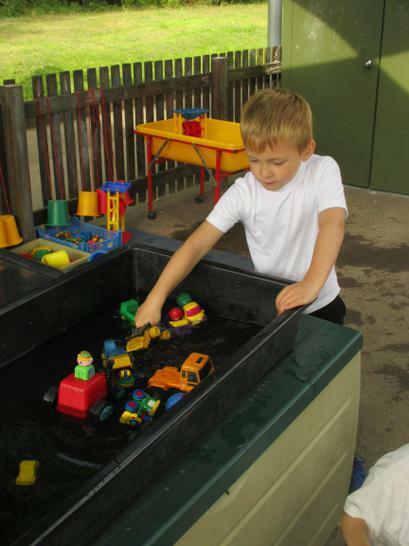 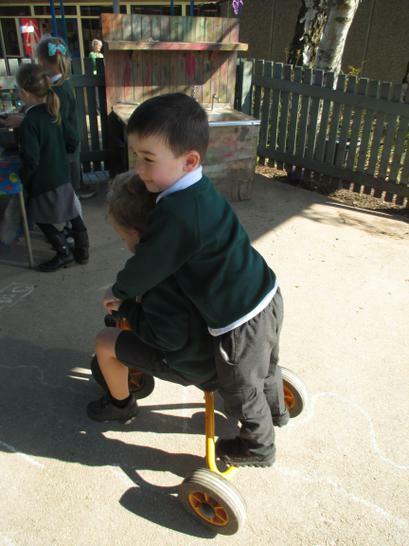 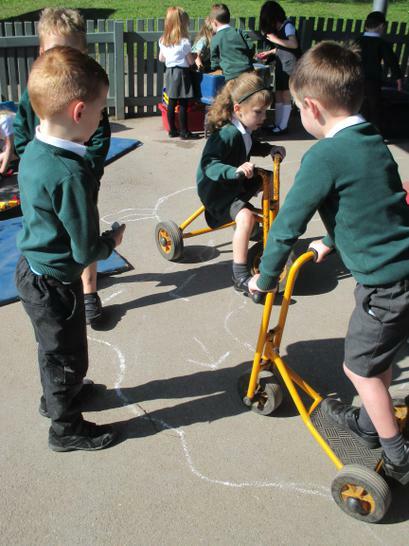 We set up activities each day for the children to explore, and throughout the week the children also think of their own ideas of what they would like to do outside too. 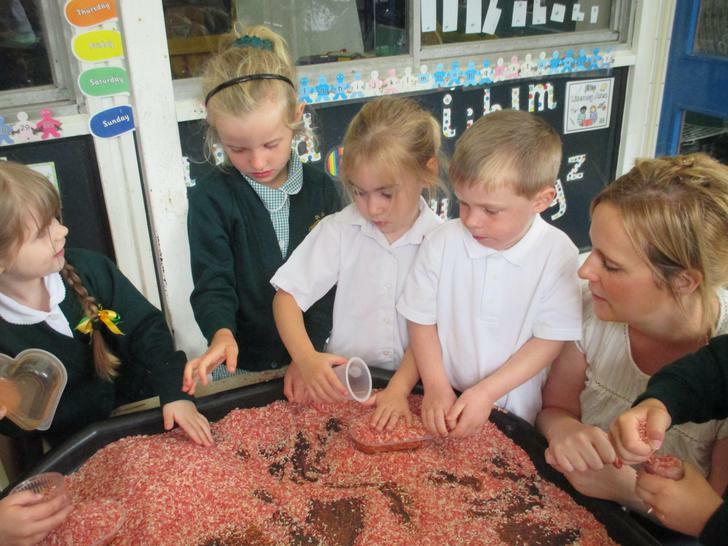 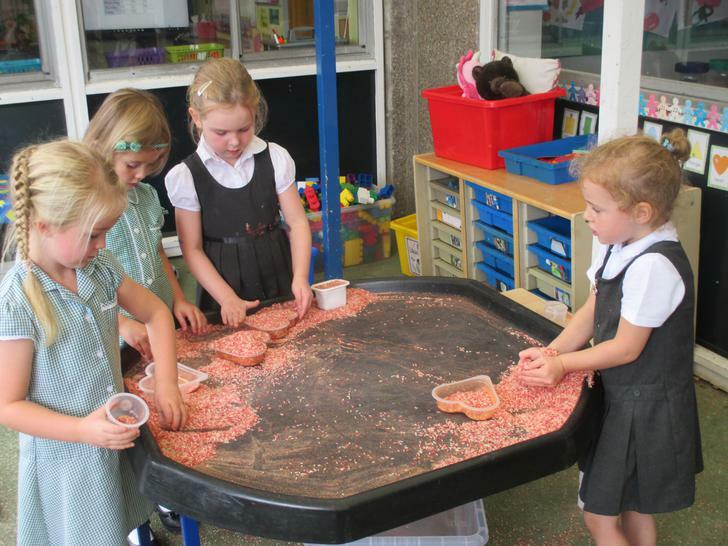 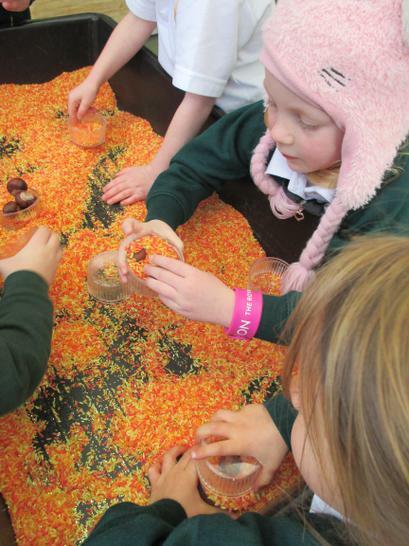 This week the children have enjoyed exlporing our sensory tuff spot filled with dyed rice and glitter. 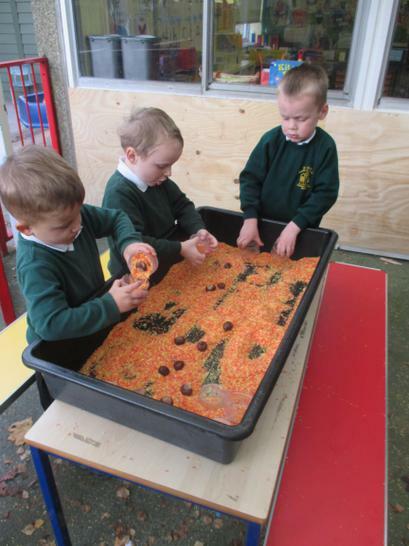 They have been using different sized containers and paint brushes to pour, fill, tip and make patterns in the rice. 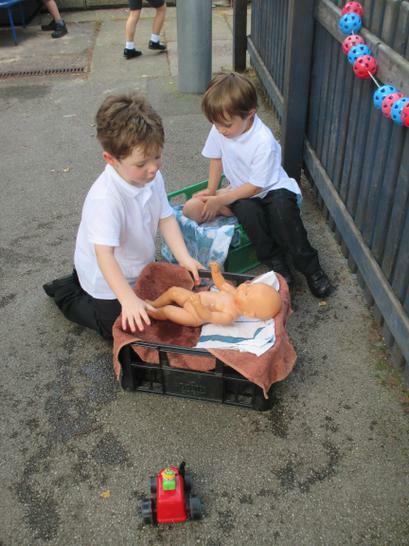 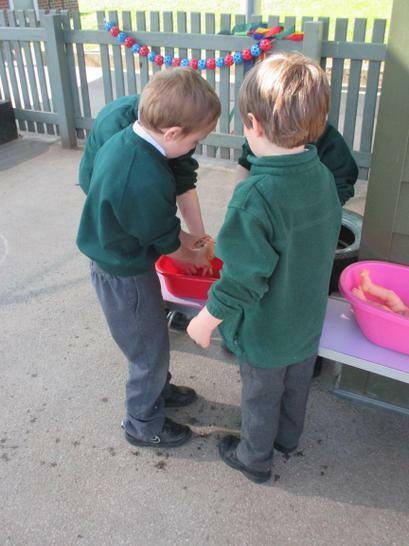 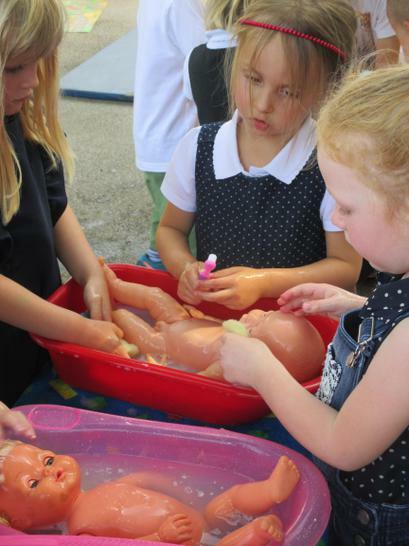 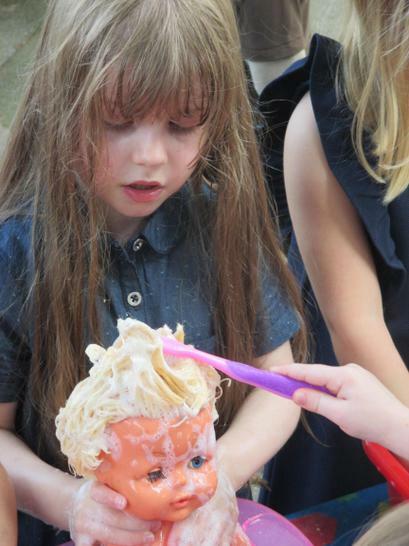 The children have also enjoyed cleaning the babies in bubbly, soapy water! 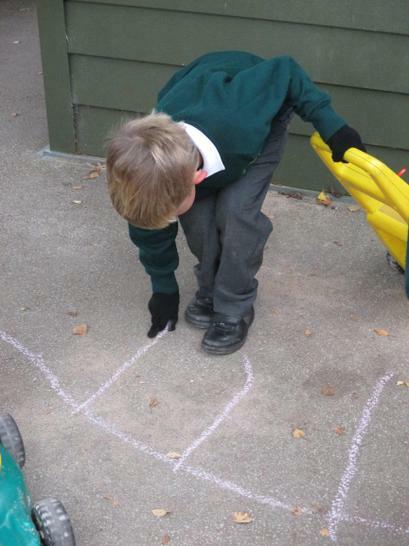 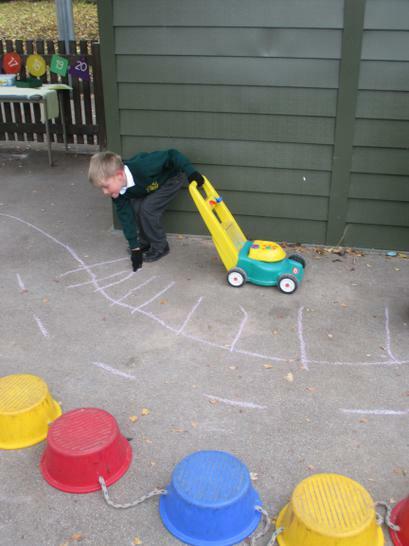 Washing the fences, building castles and chalking patterns... we have so much fun outside! 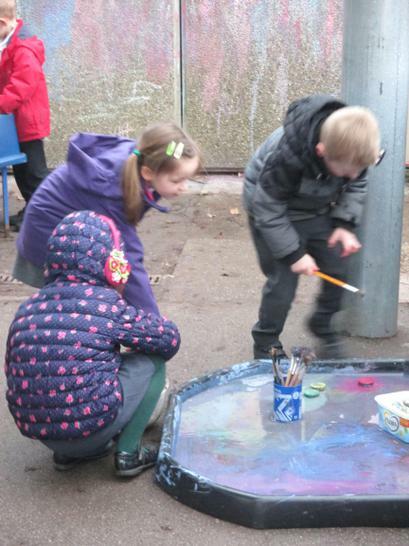 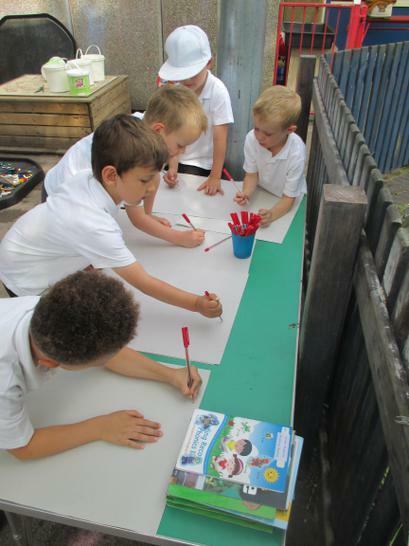 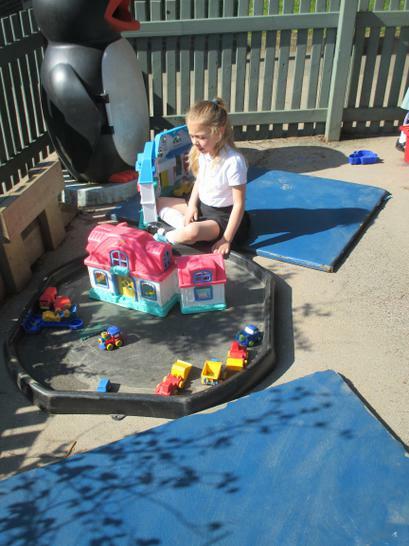 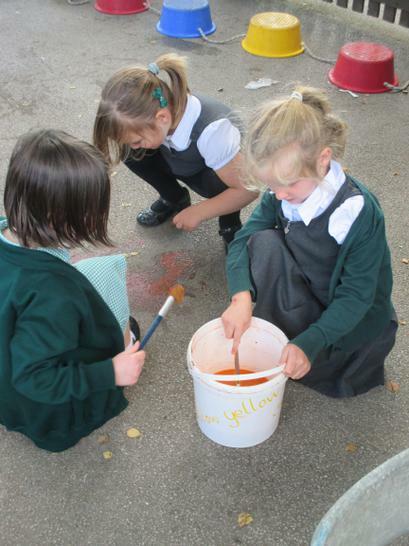 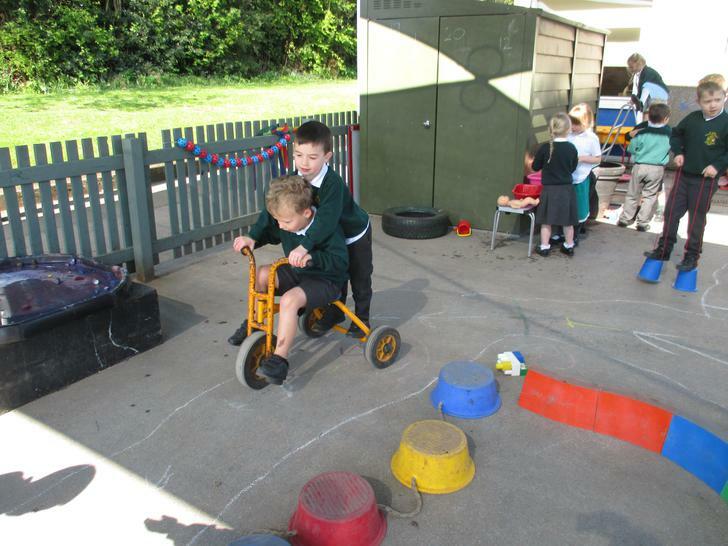 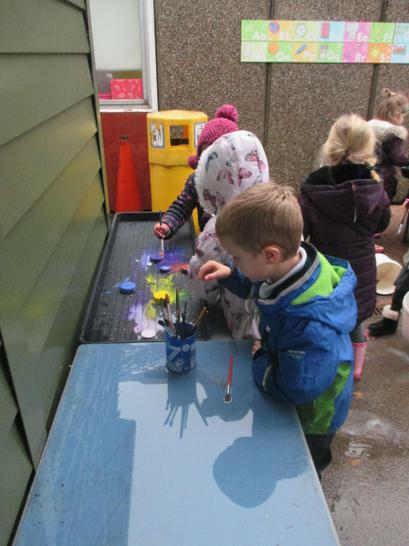 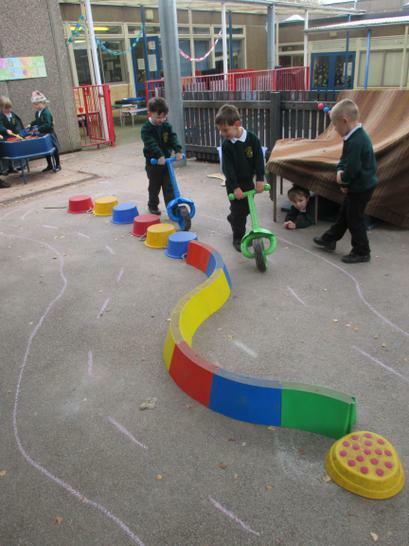 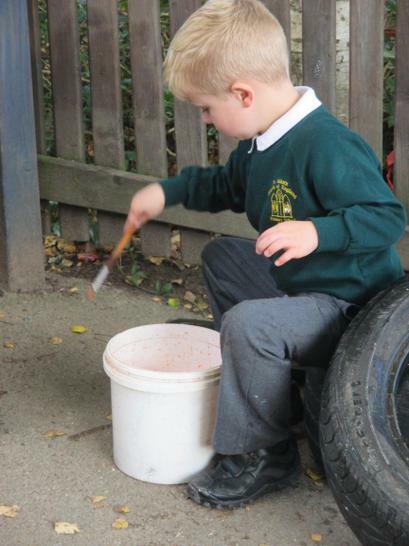 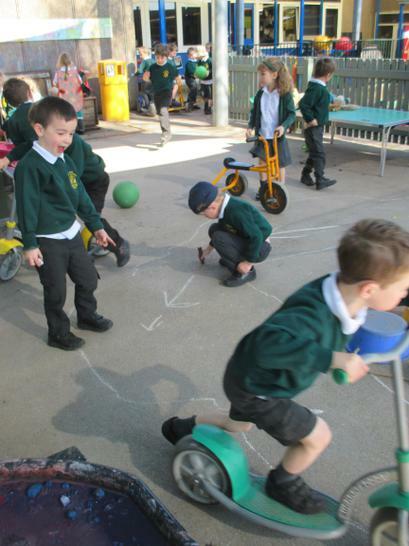 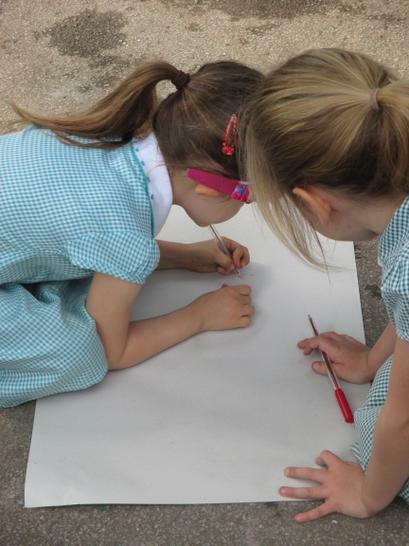 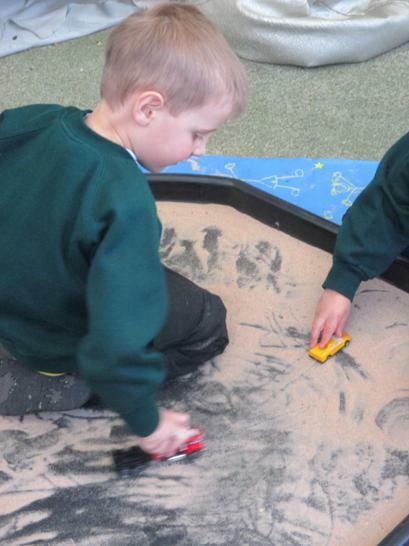 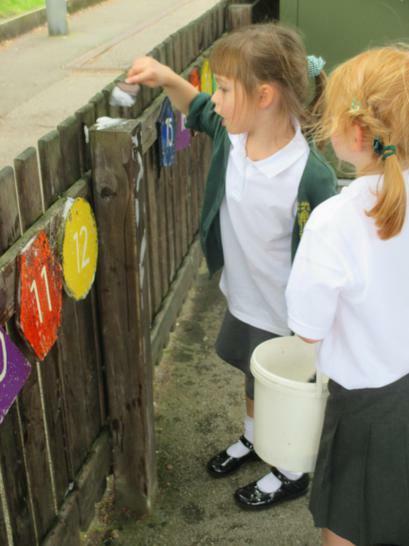 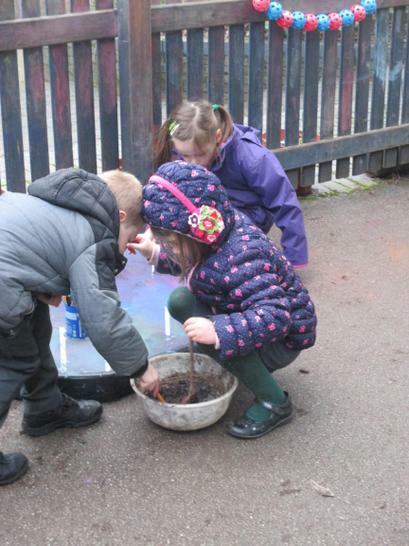 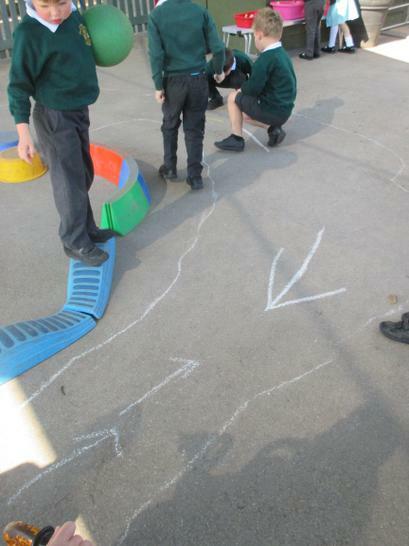 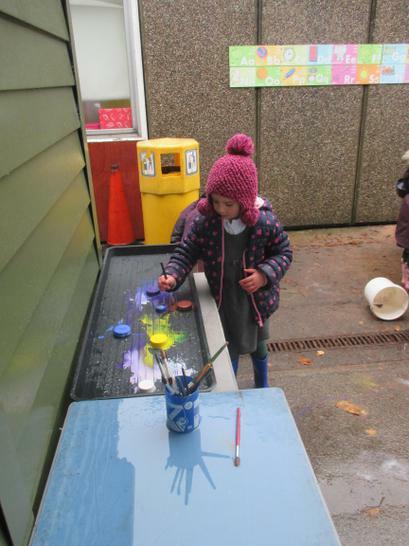 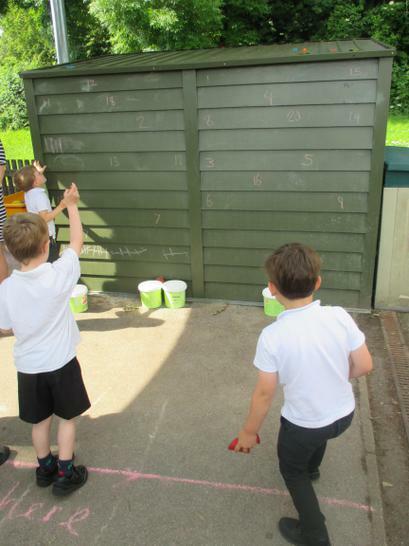 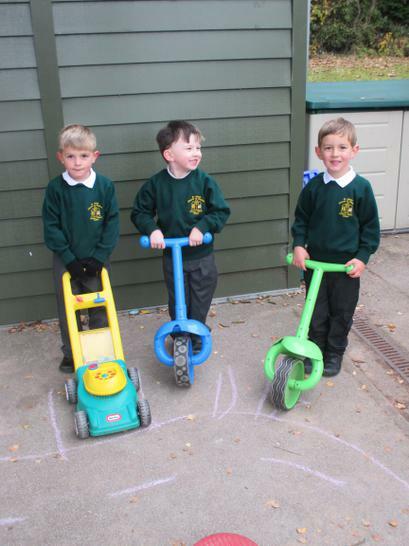 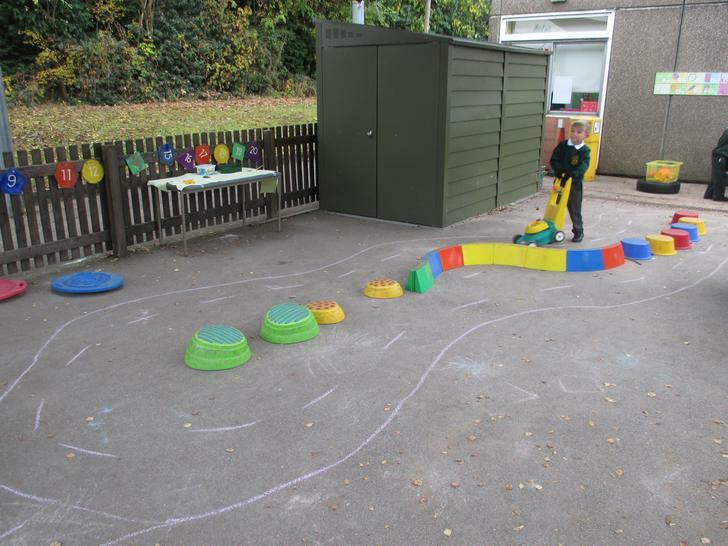 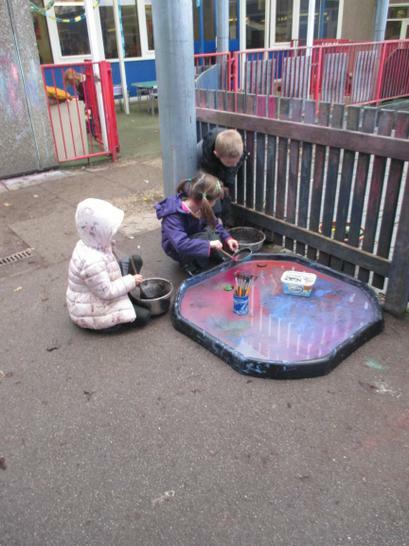 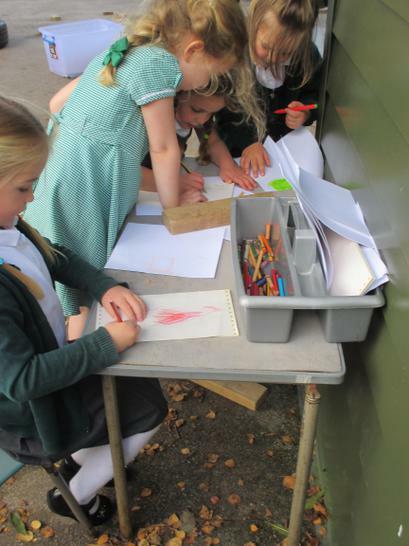 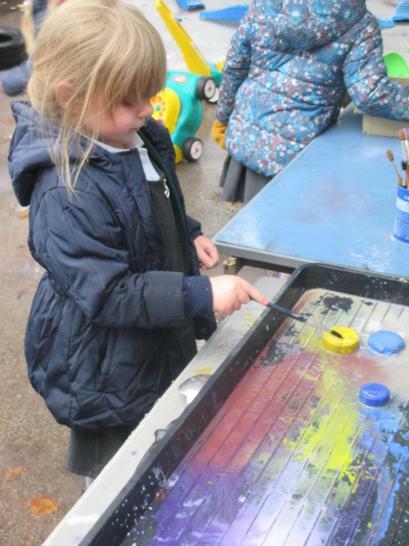 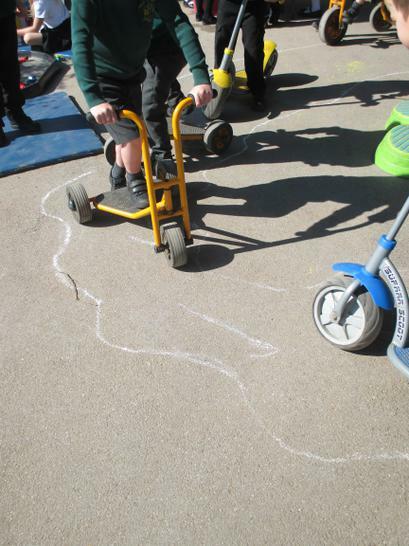 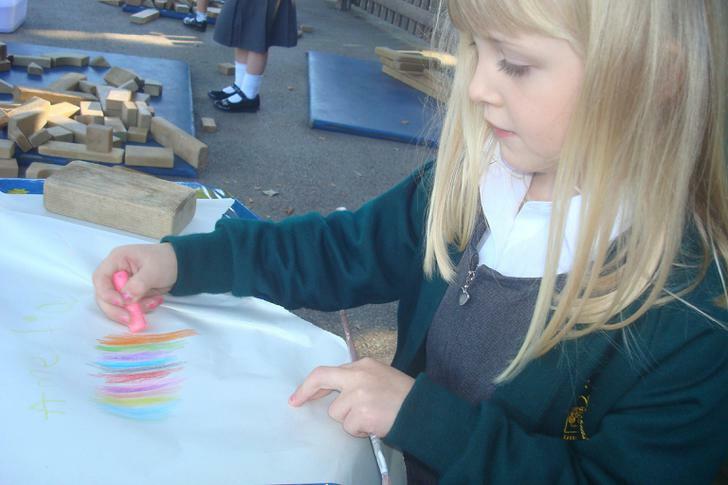 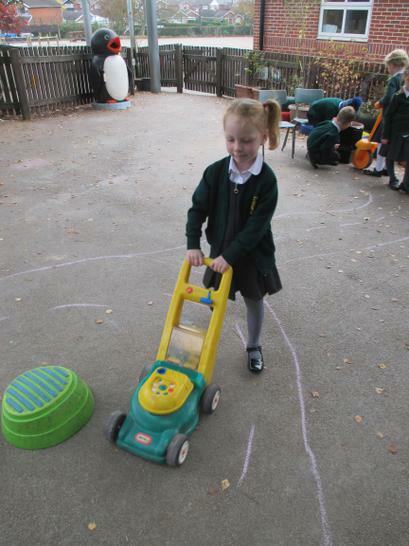 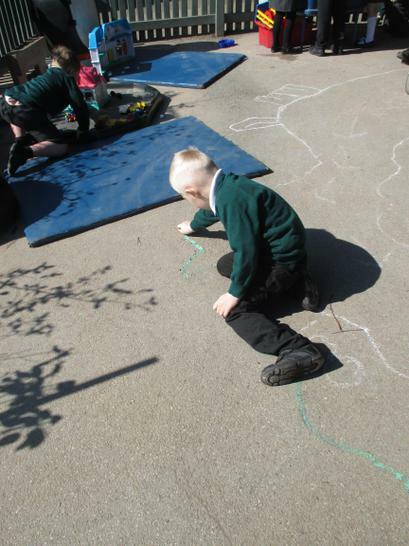 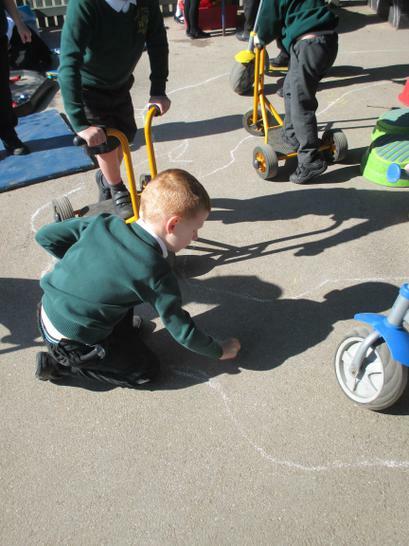 The children love to use brushes, water, painty water and chalks to make marks on the tarmac. 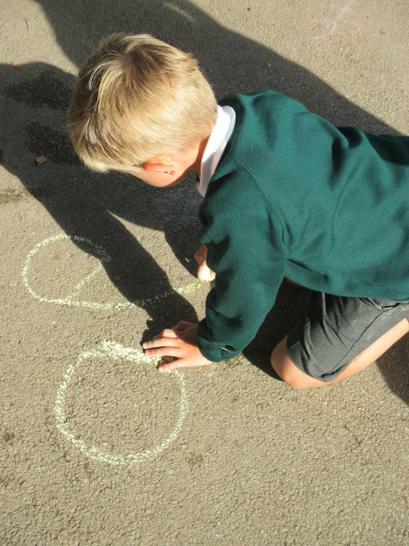 They are beginning to write their names and the letters taught so far in phonics too! 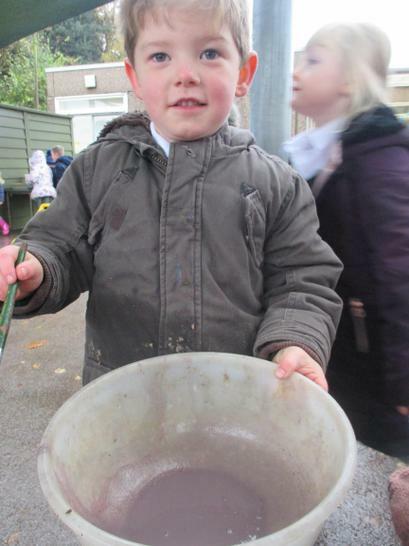 Well done Reception!